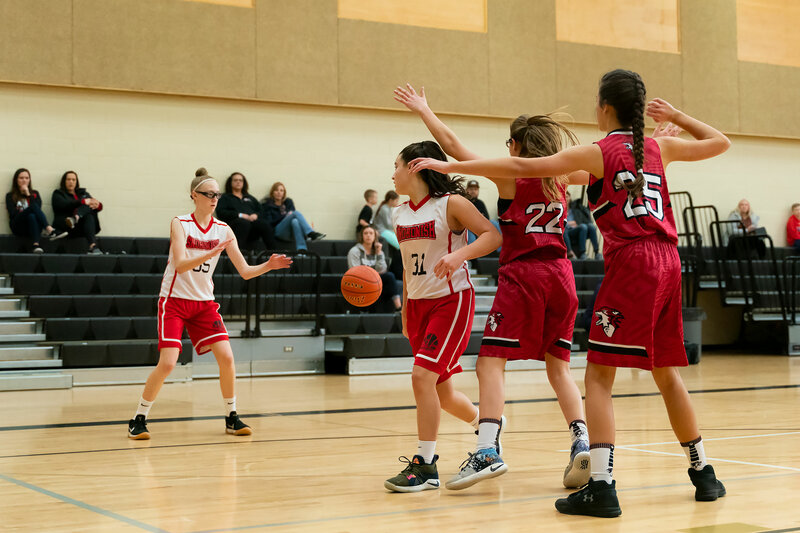 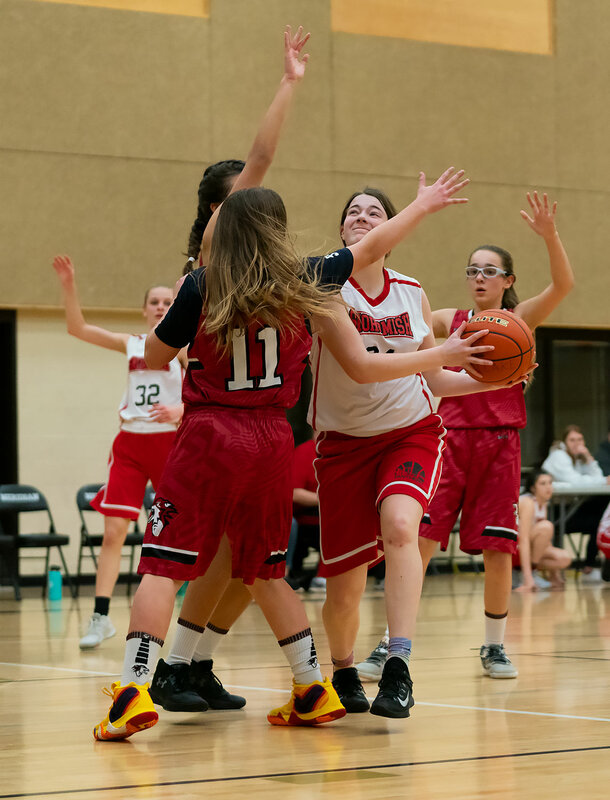 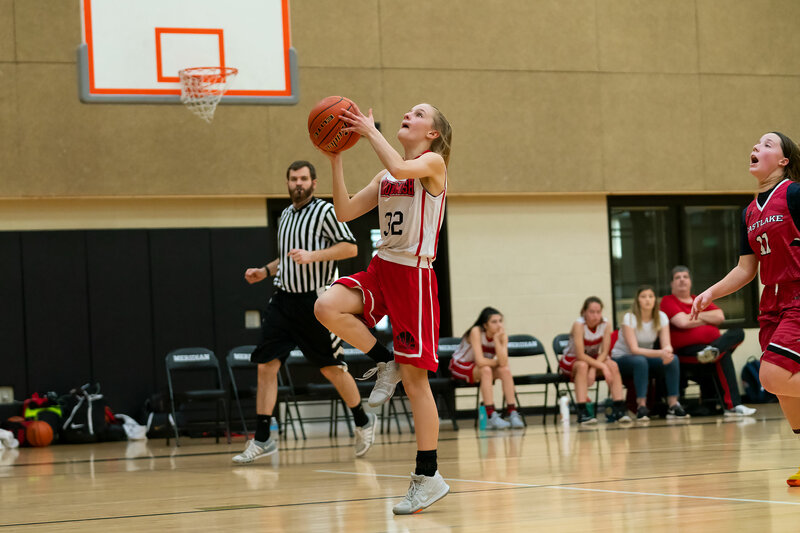 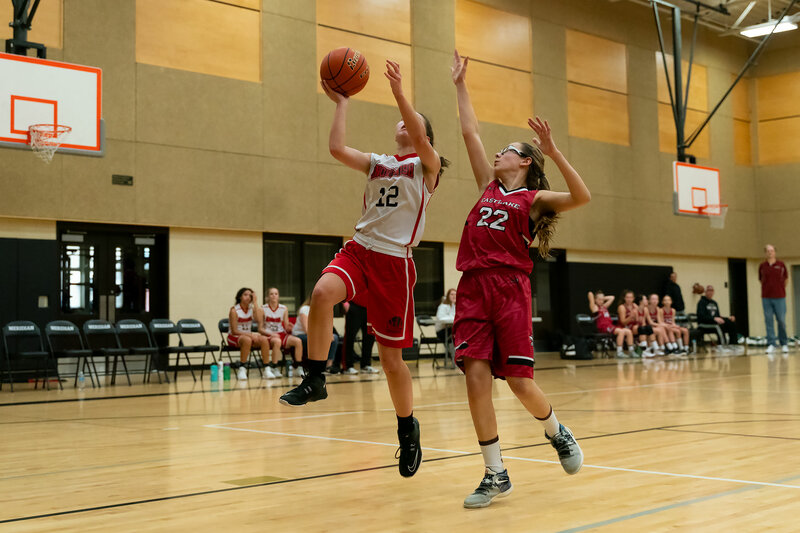 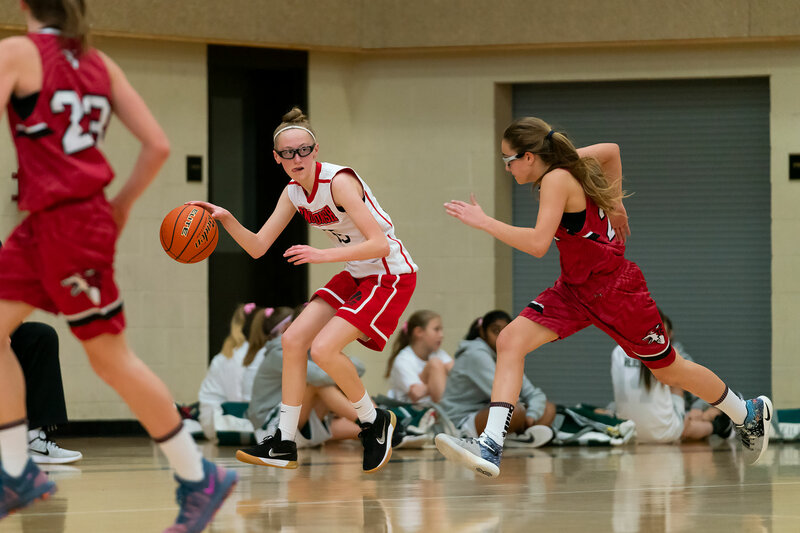 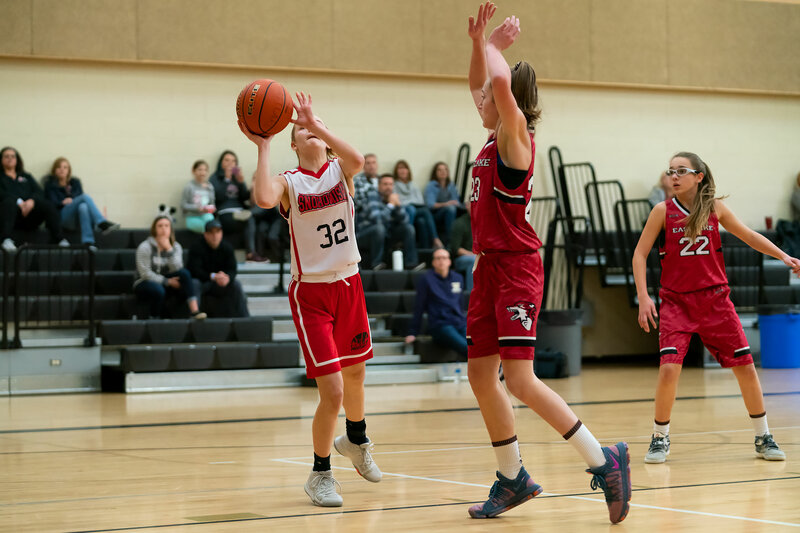 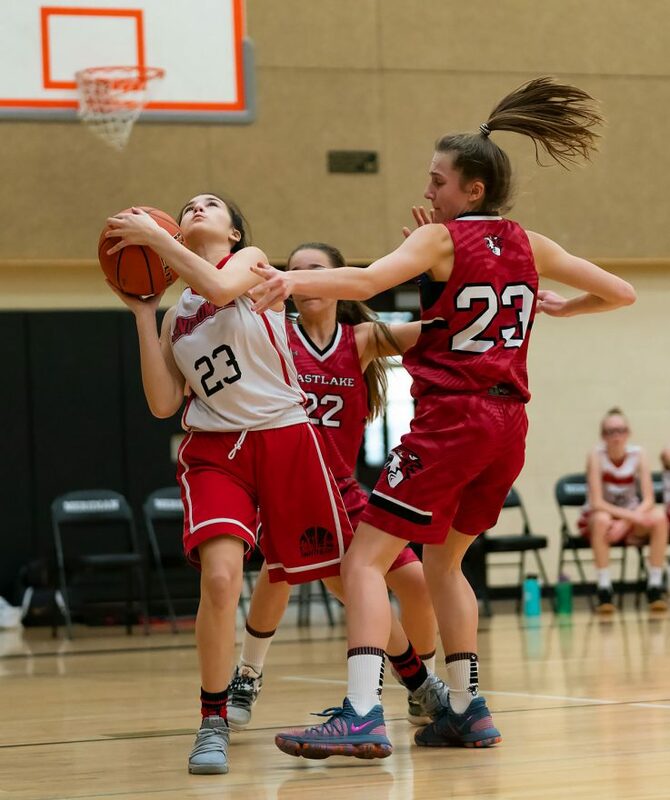 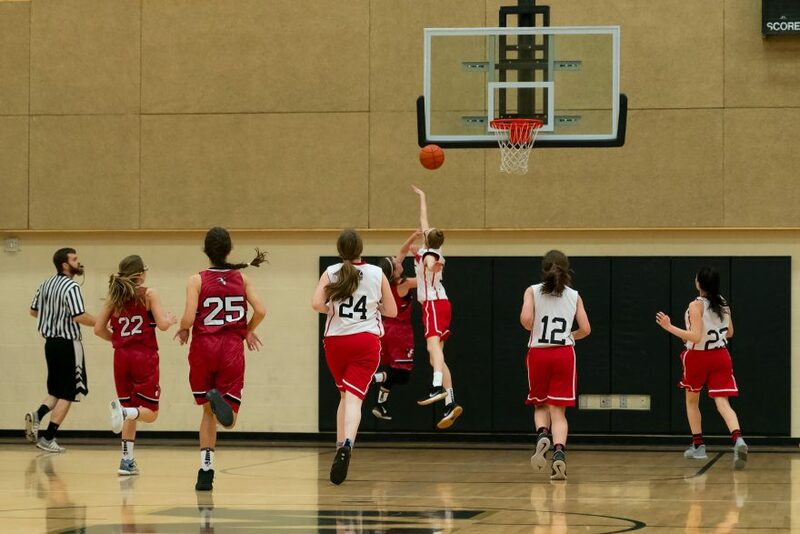 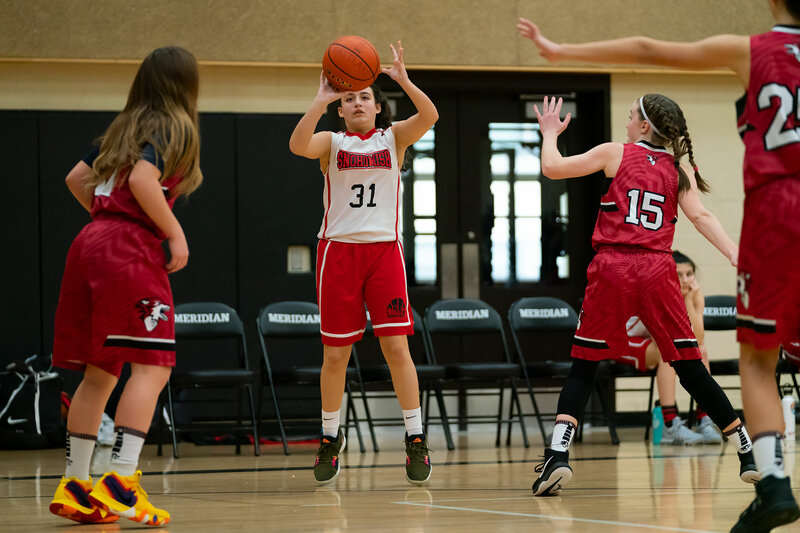 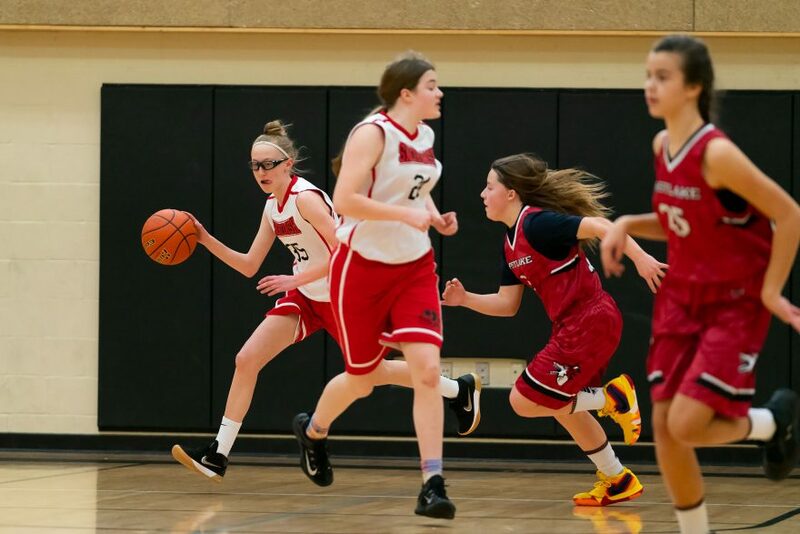 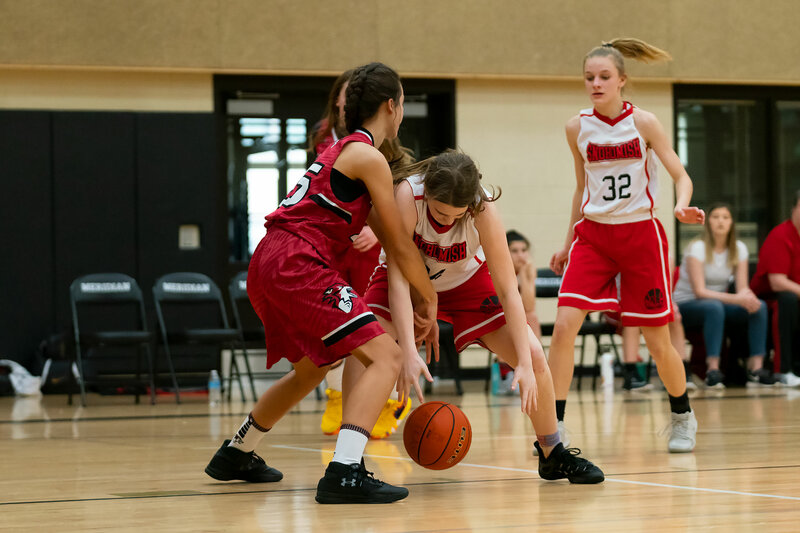 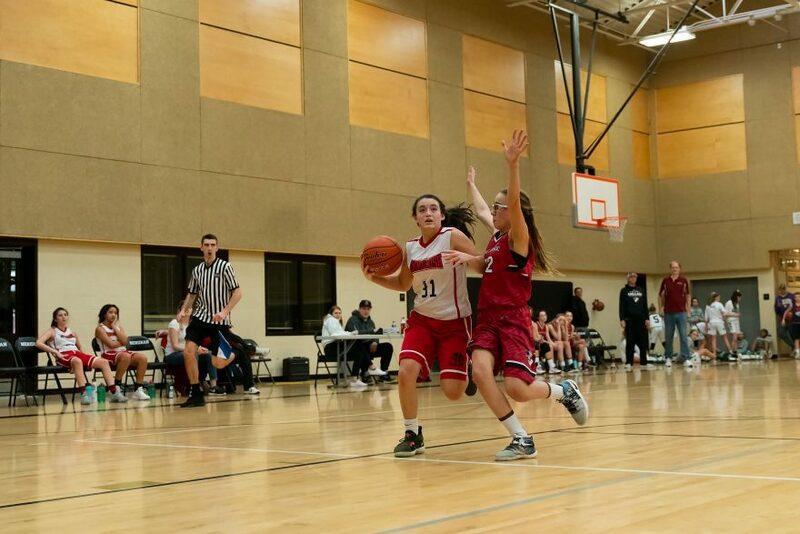 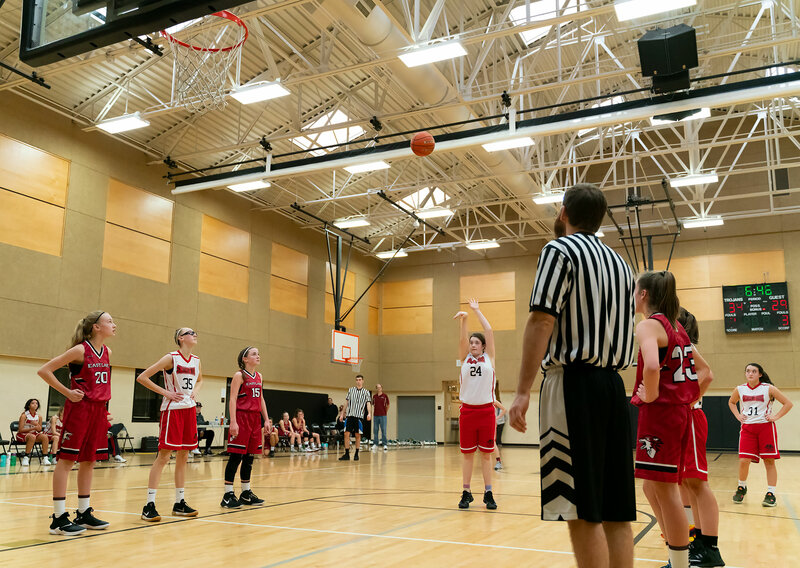 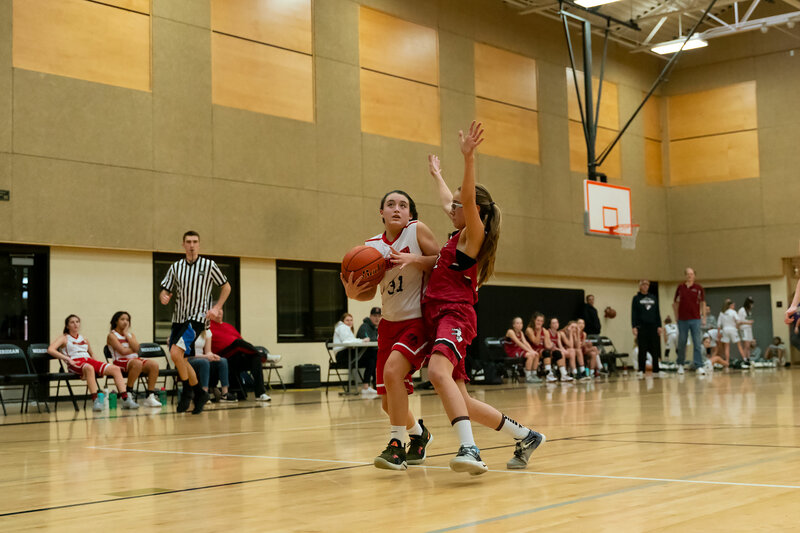 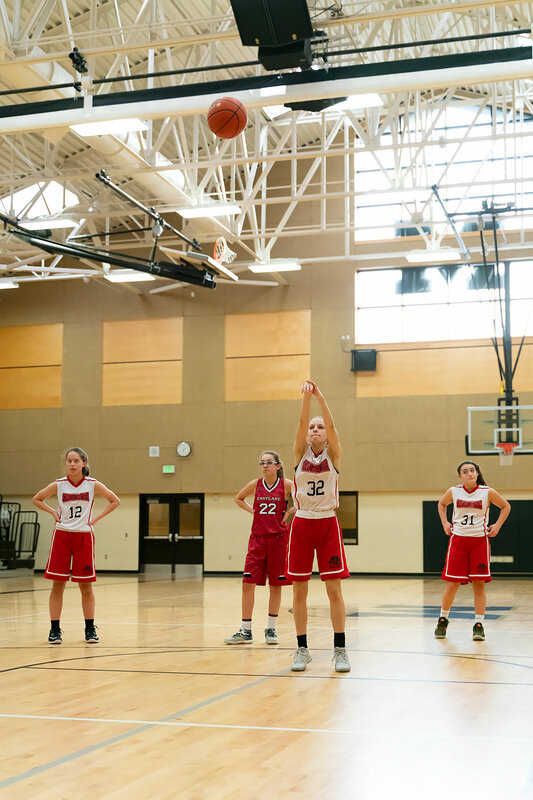 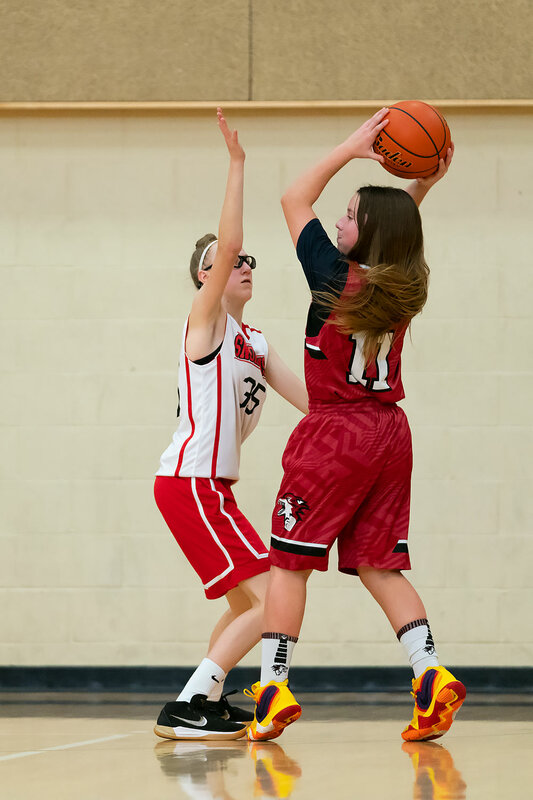 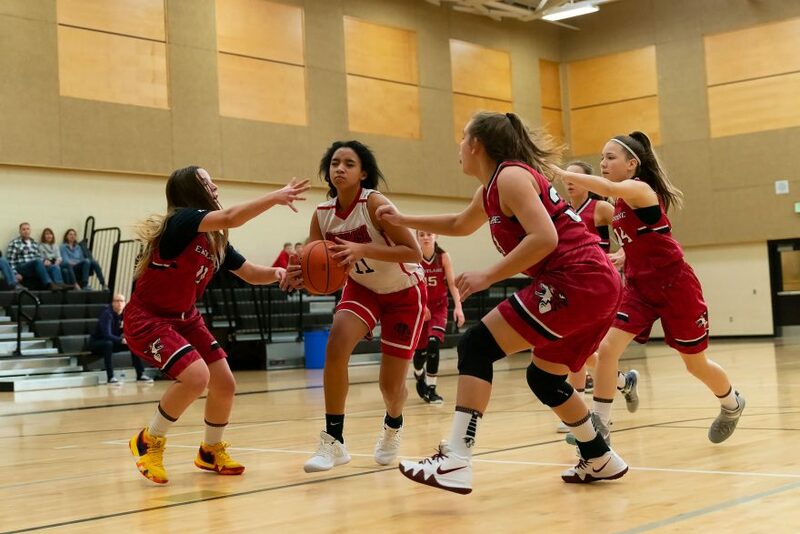 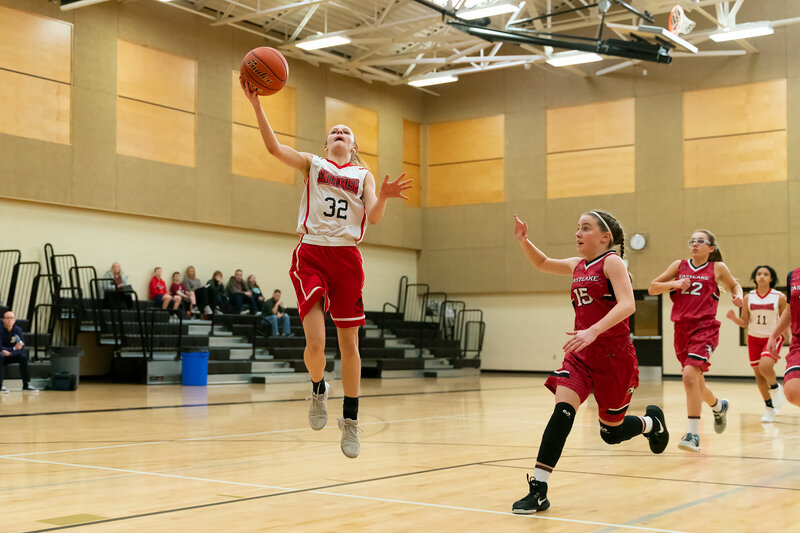 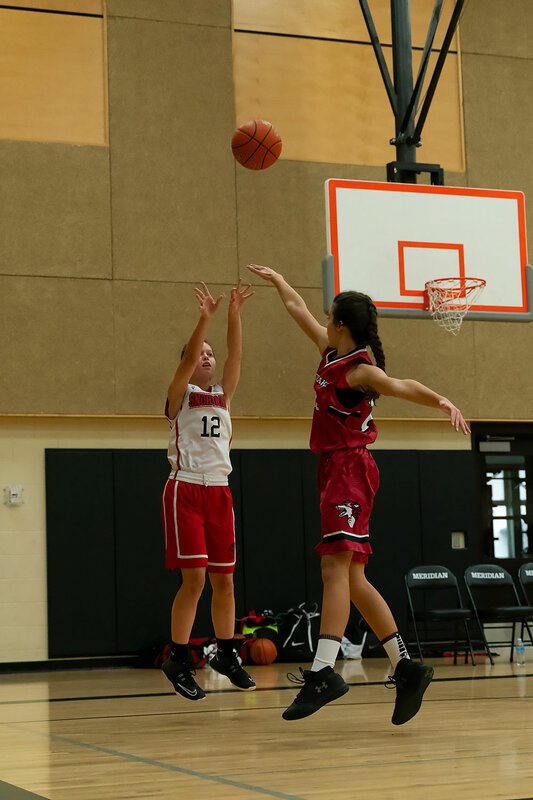 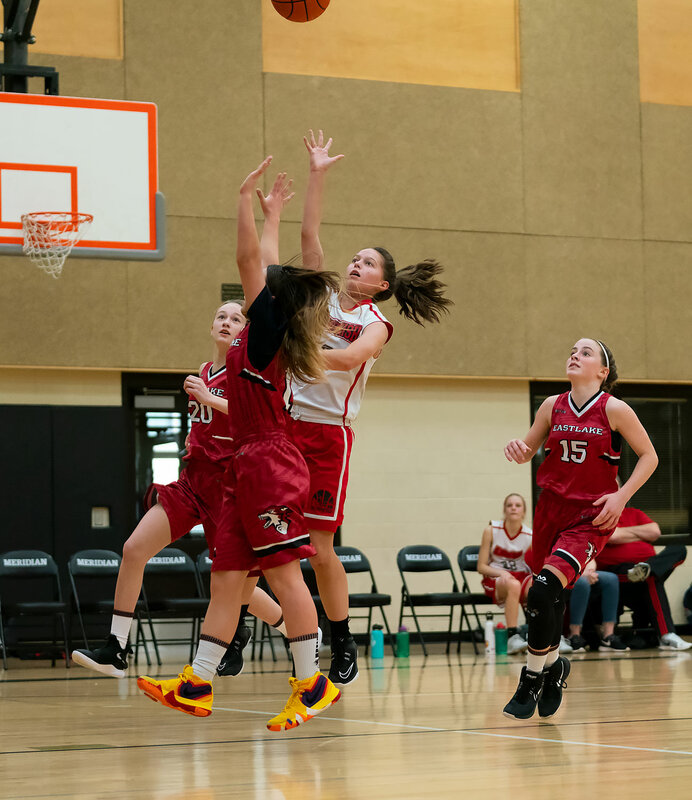 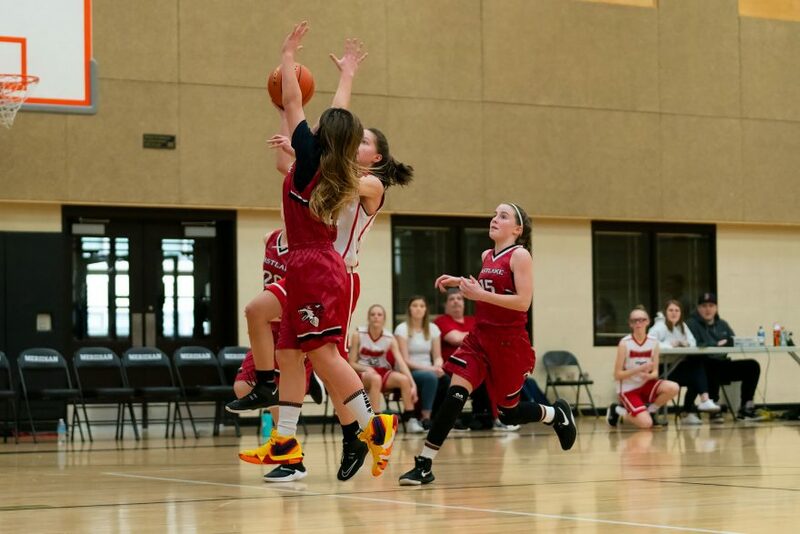 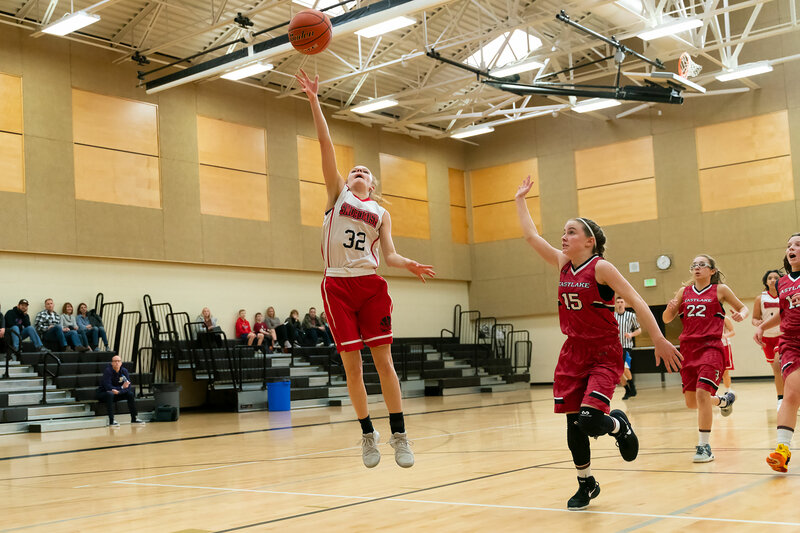 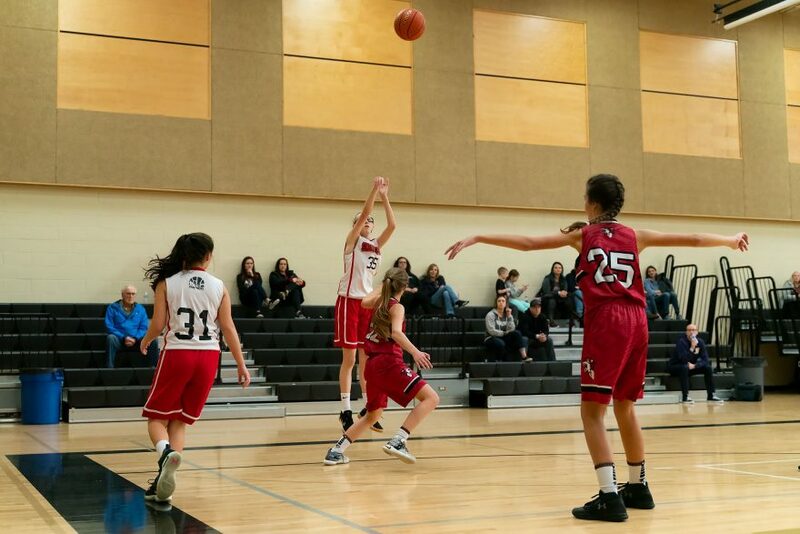 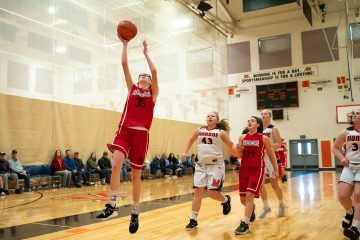 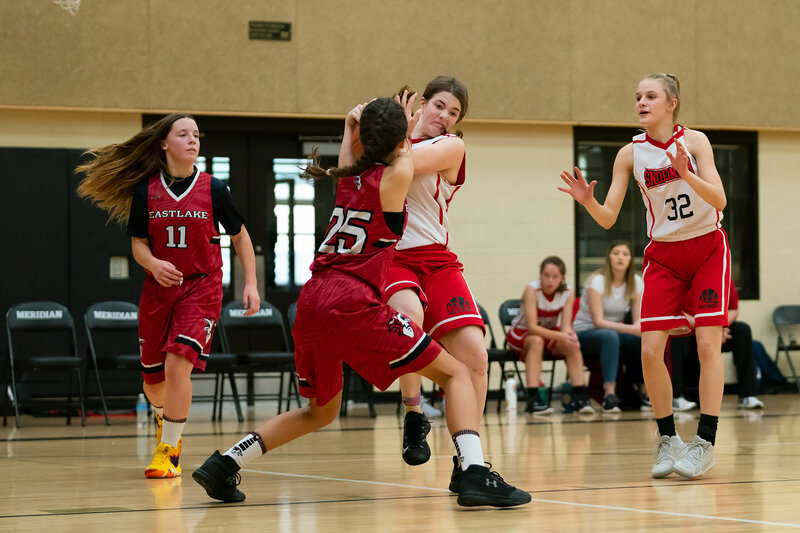 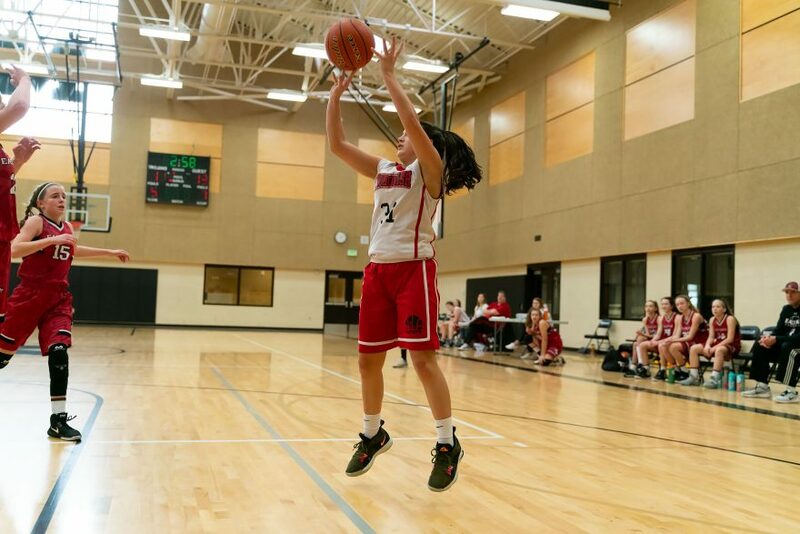 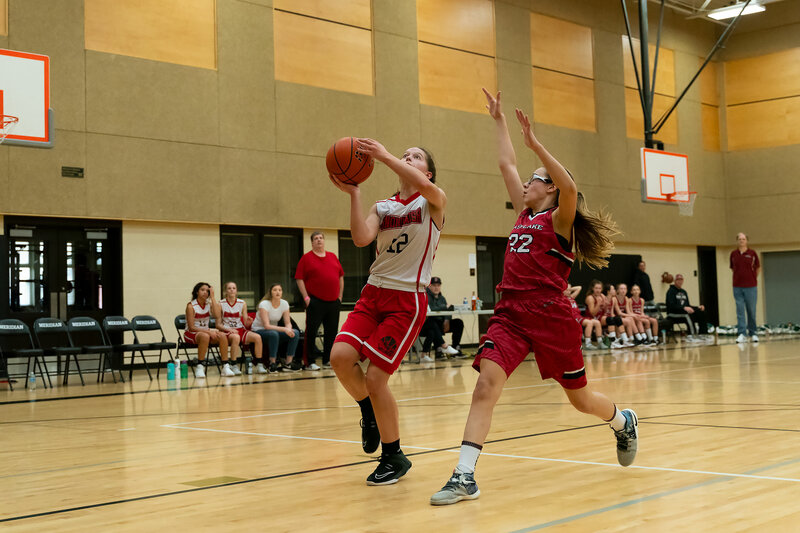 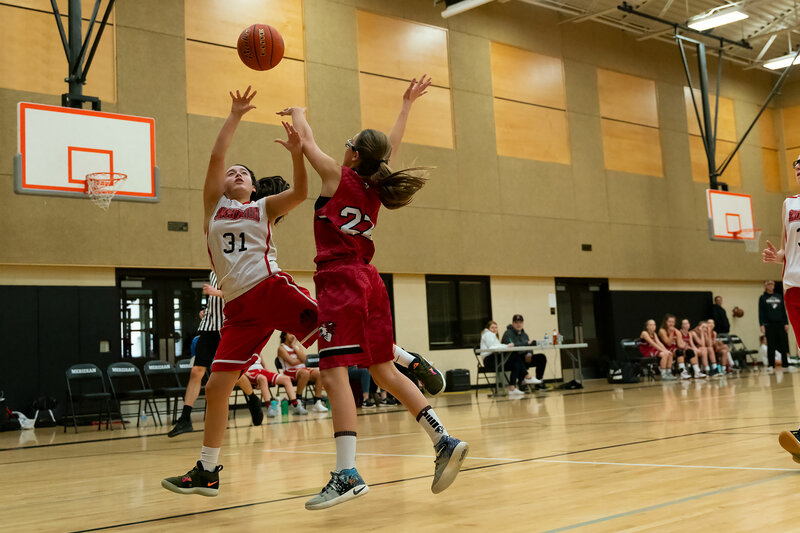 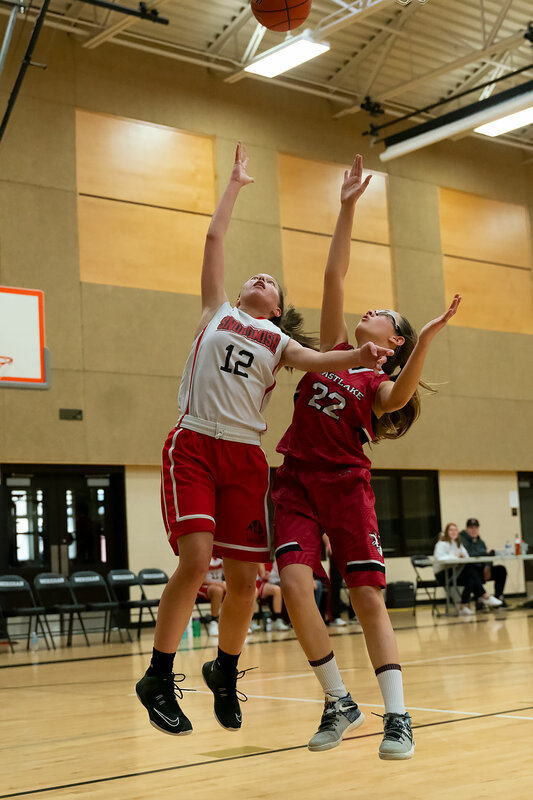 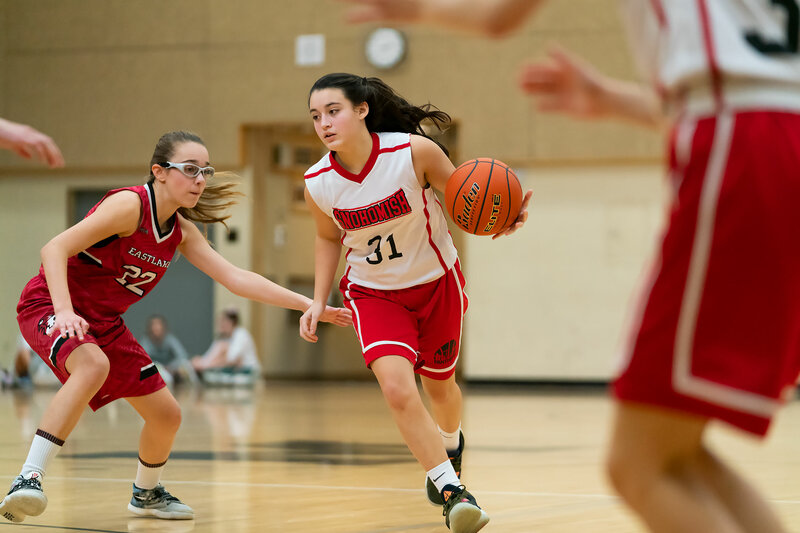 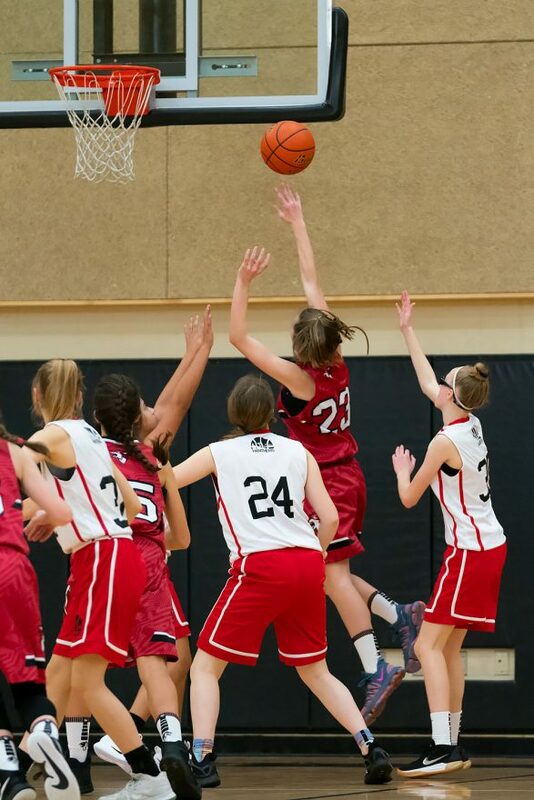 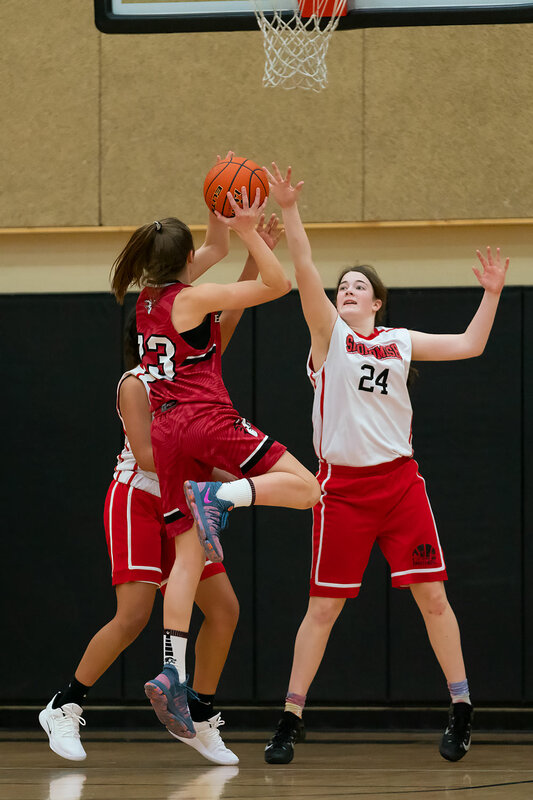 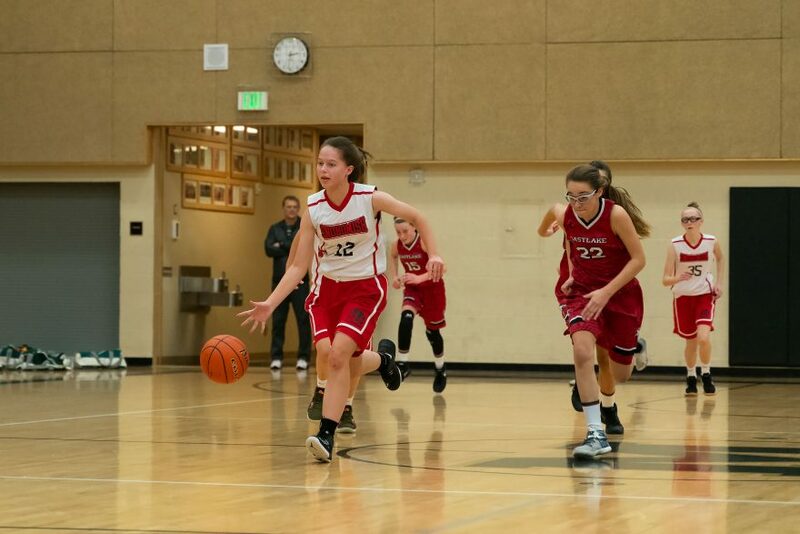 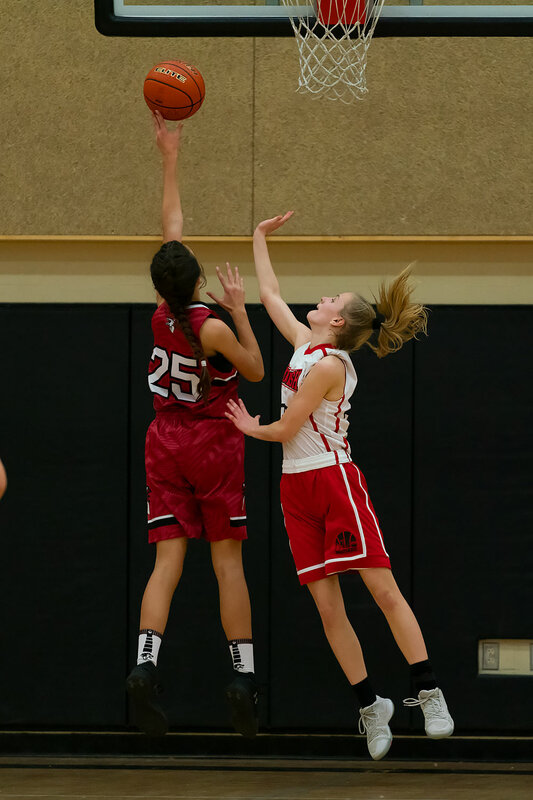 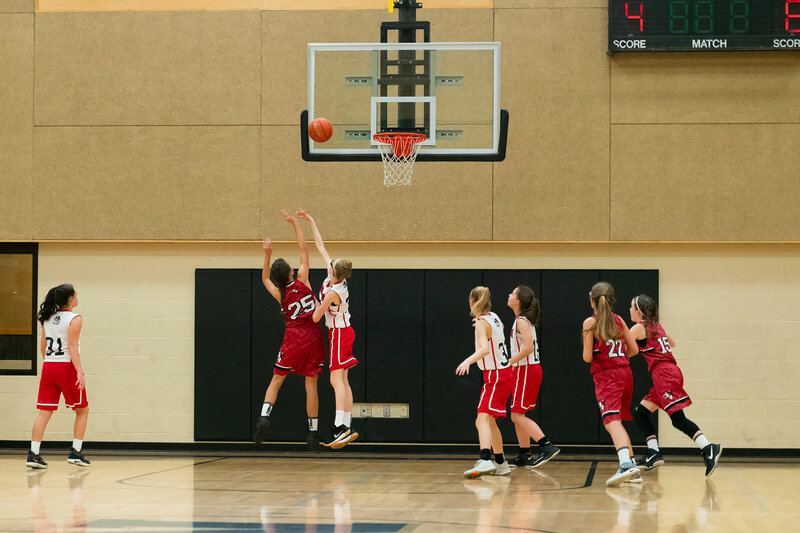 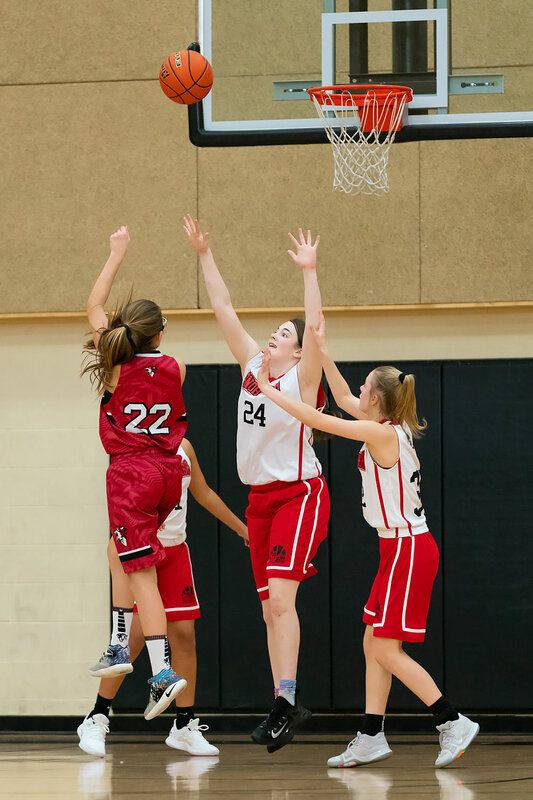 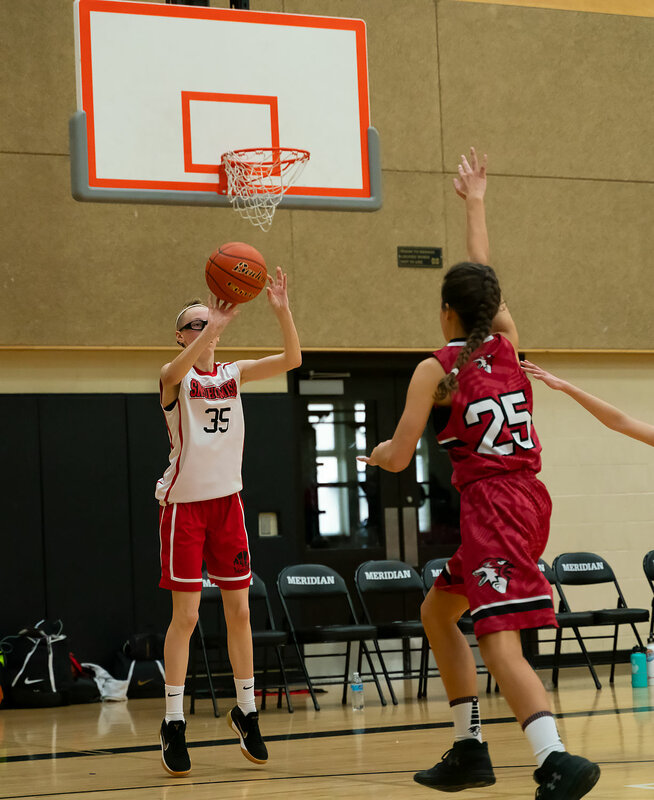 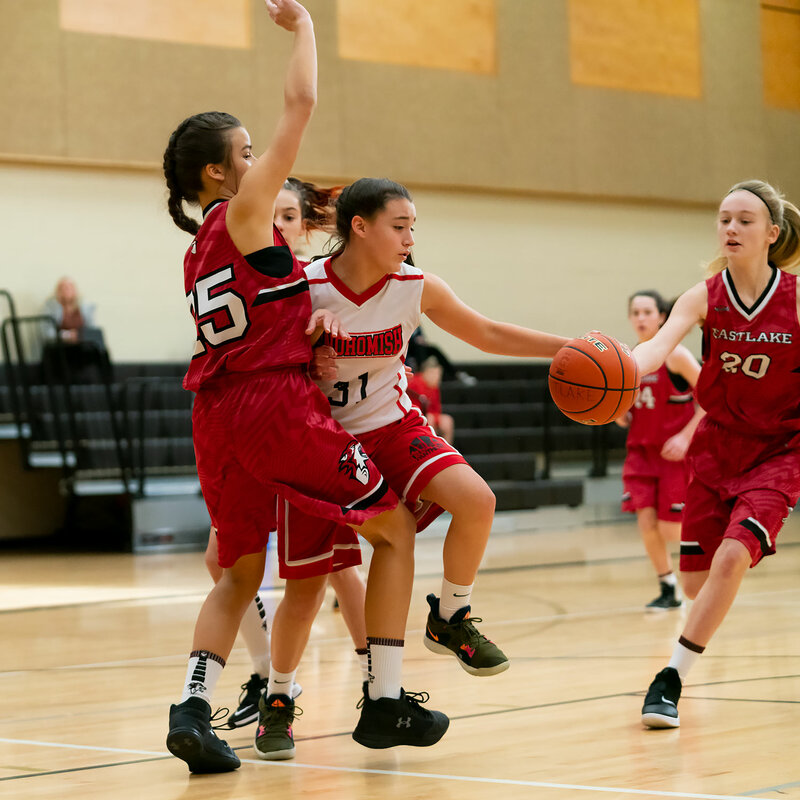 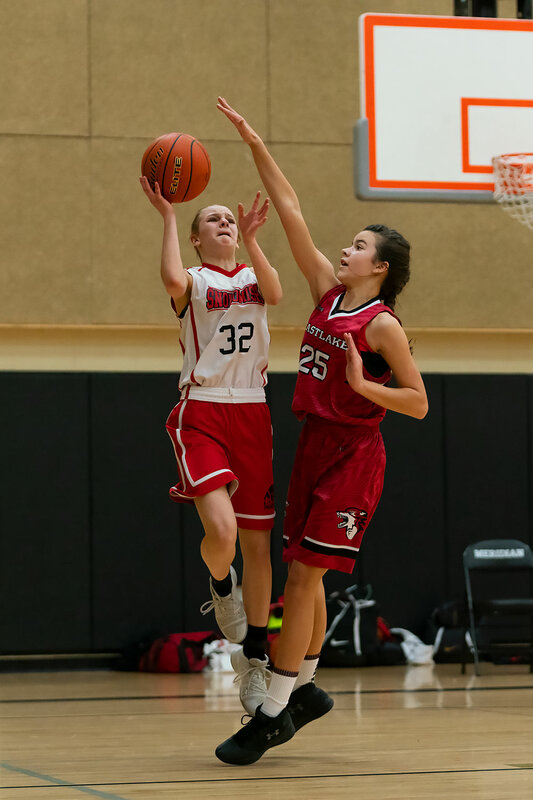 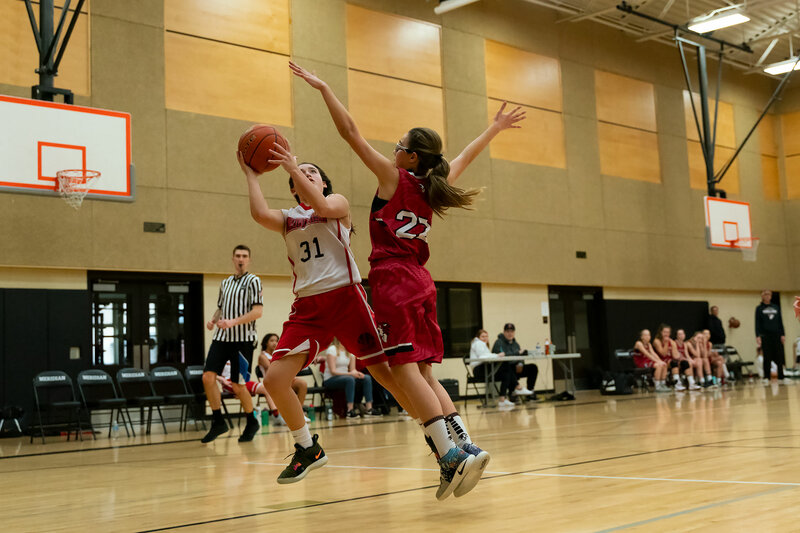 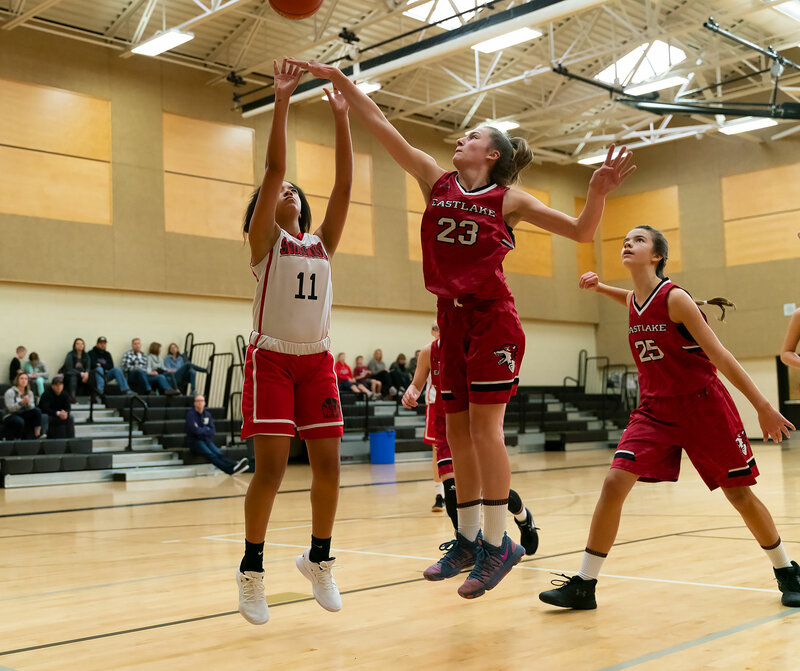 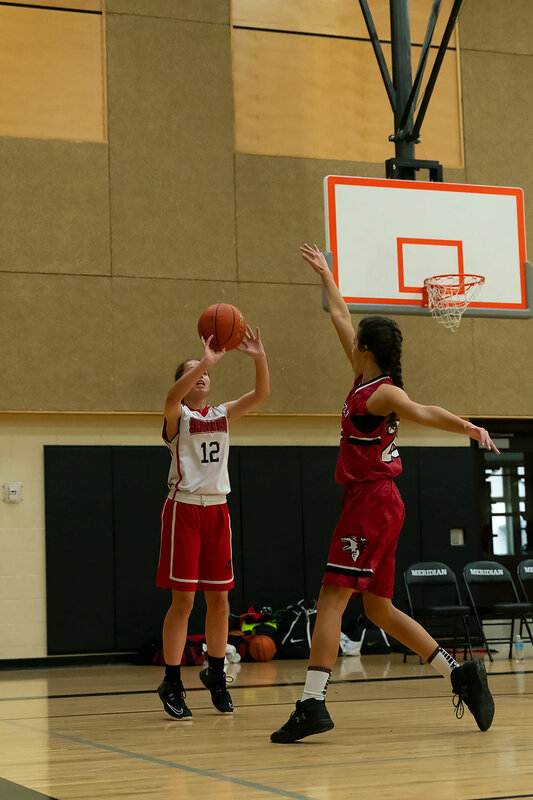 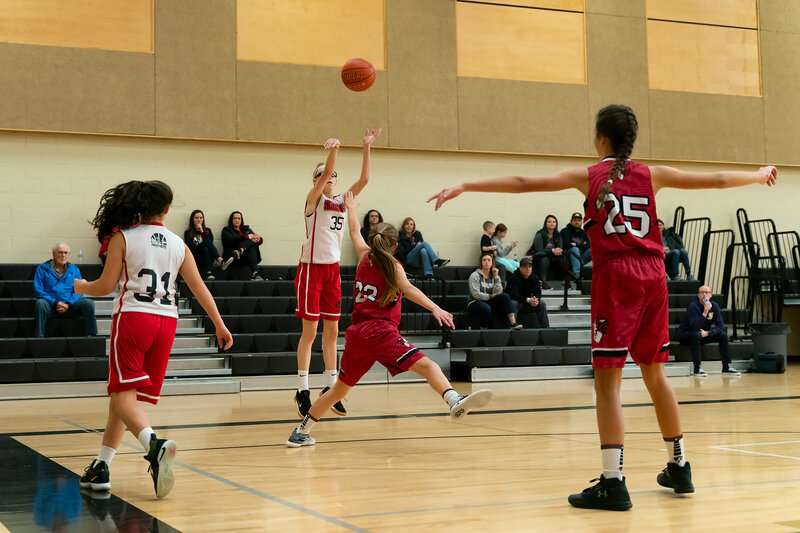 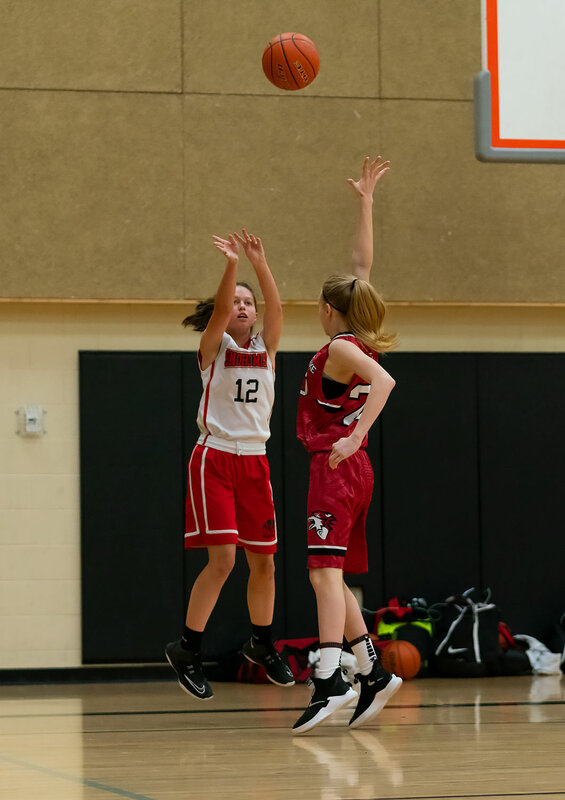 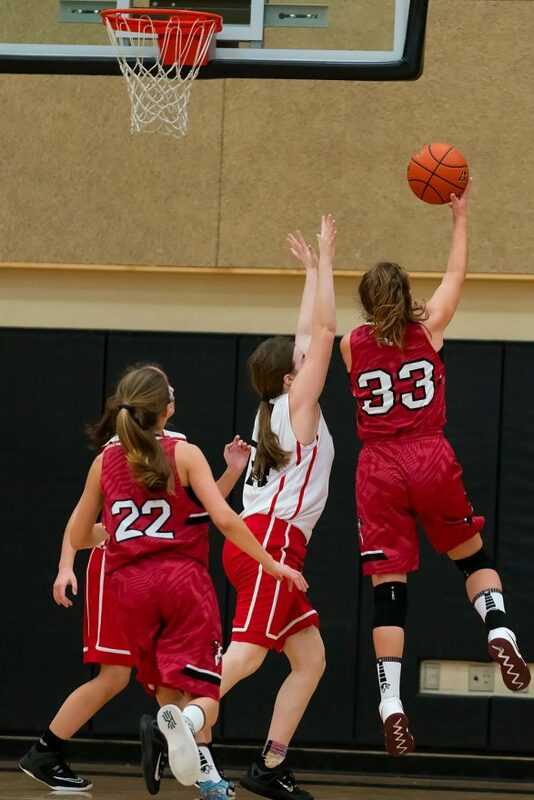 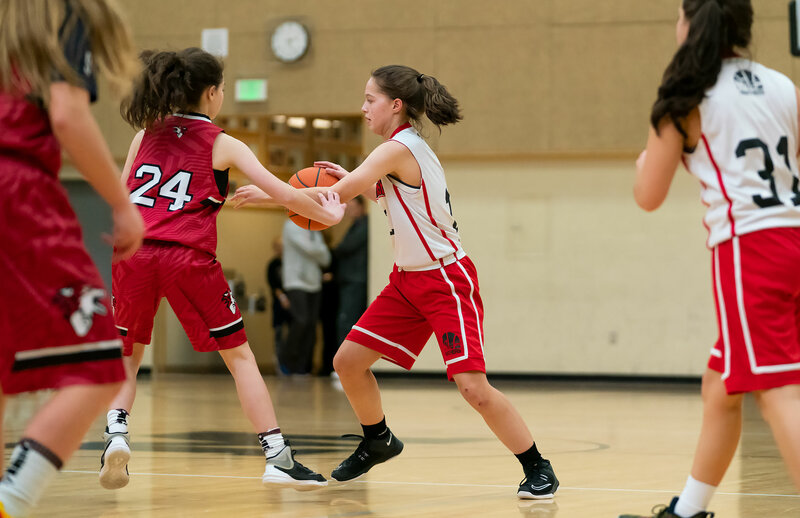 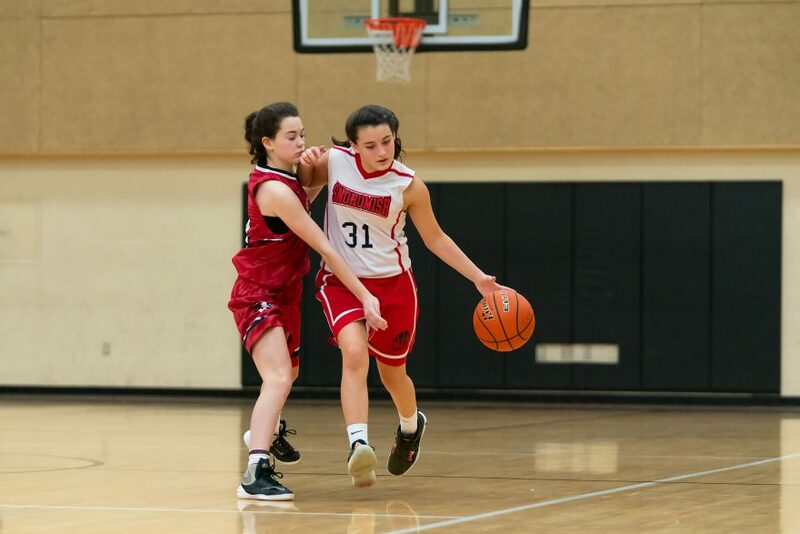 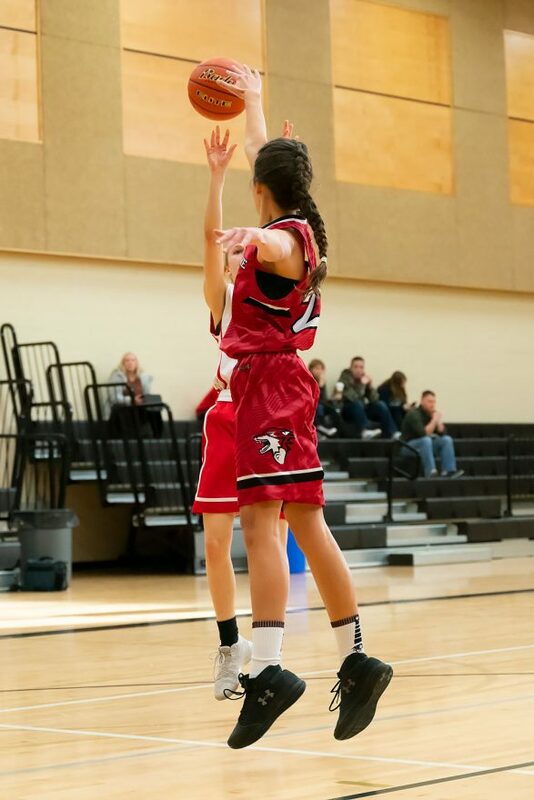 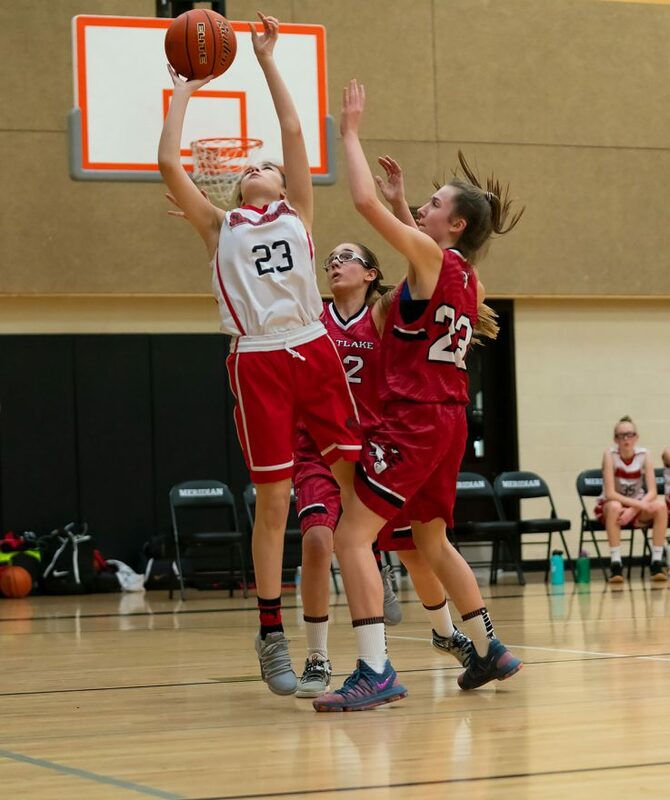 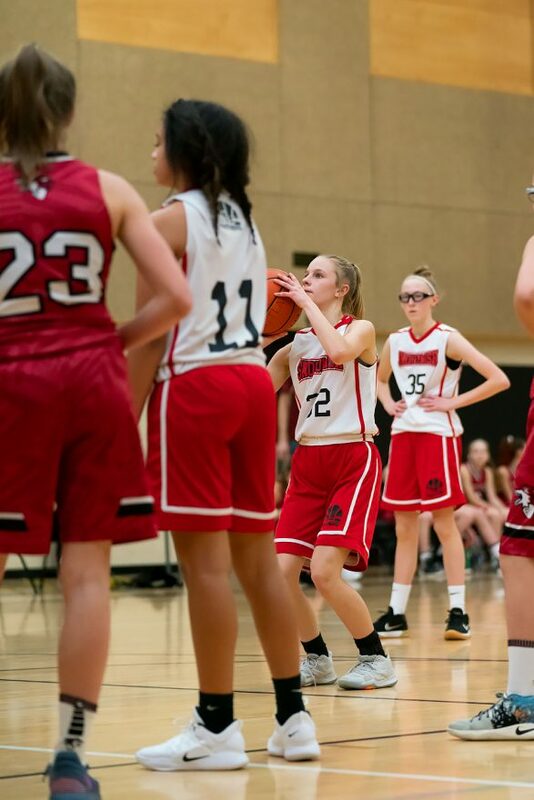 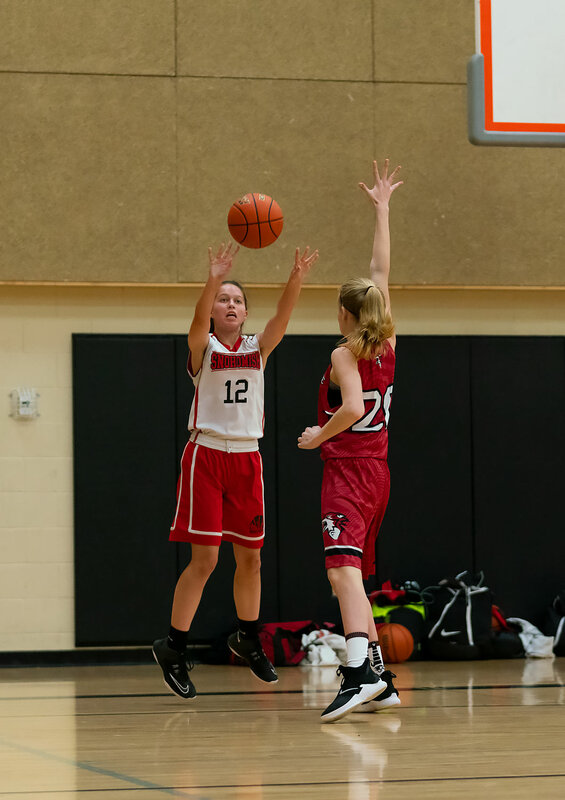 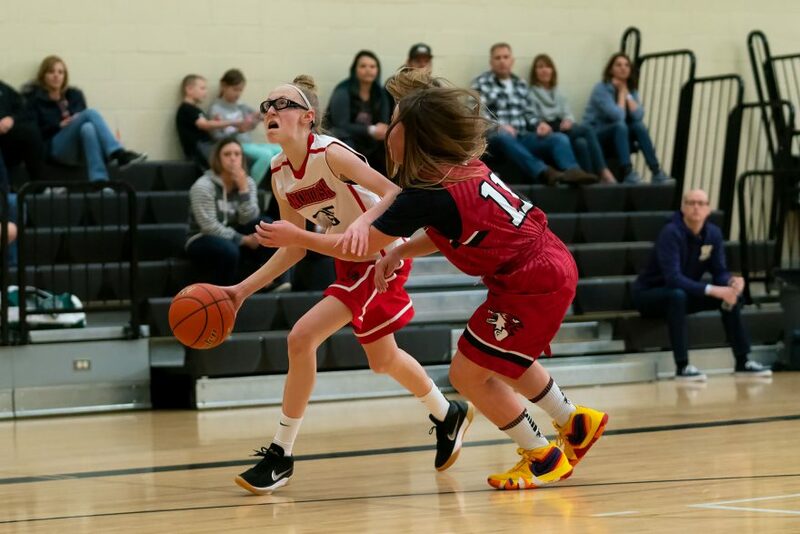 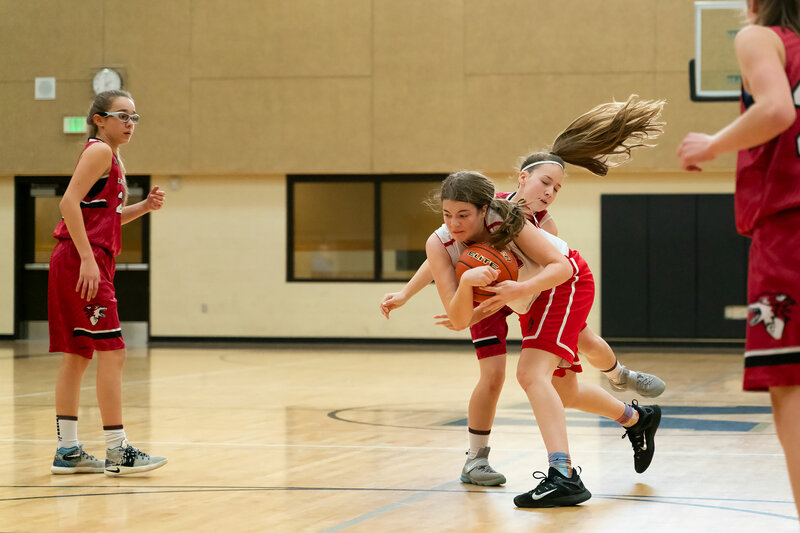 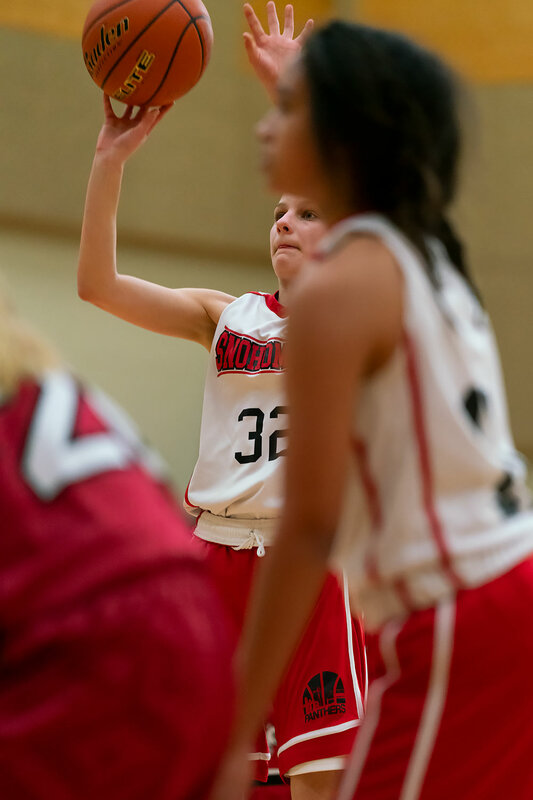 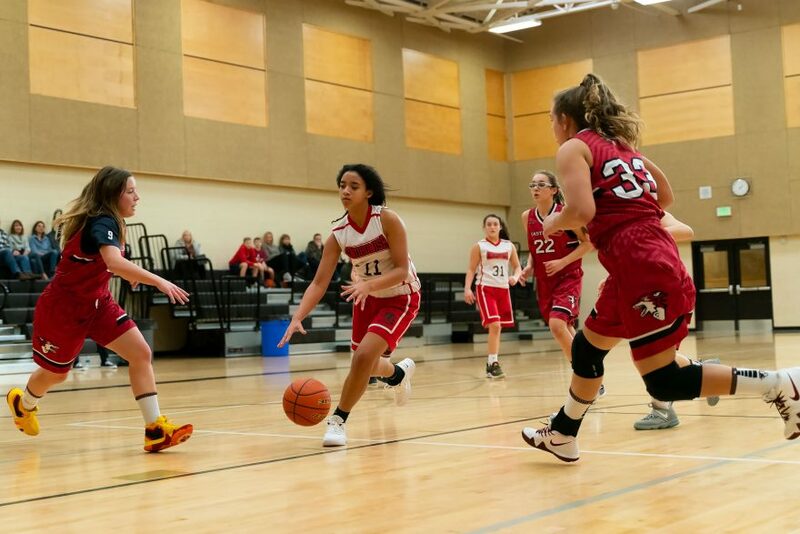 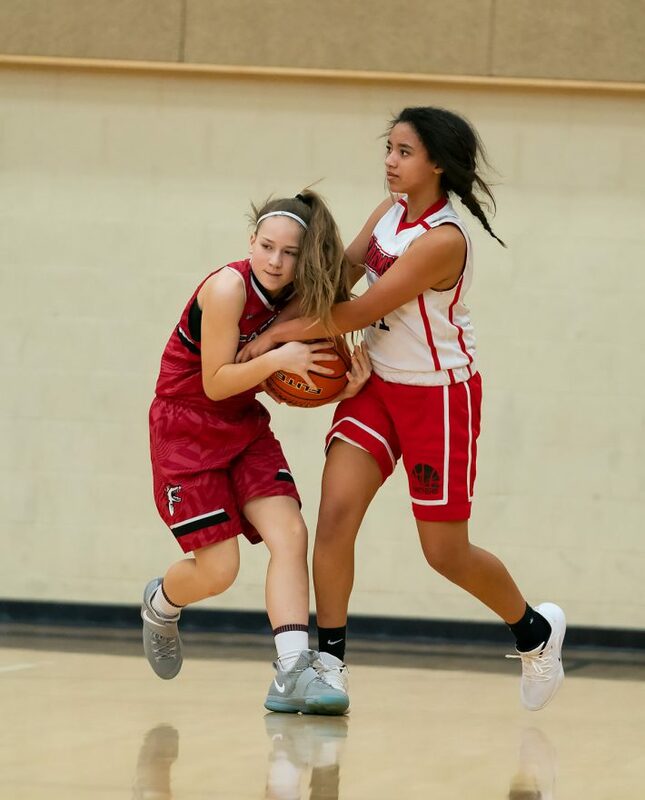 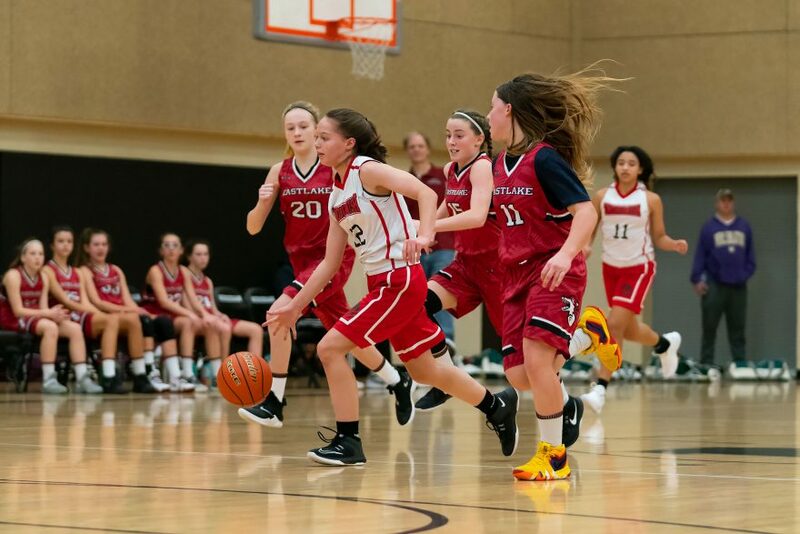 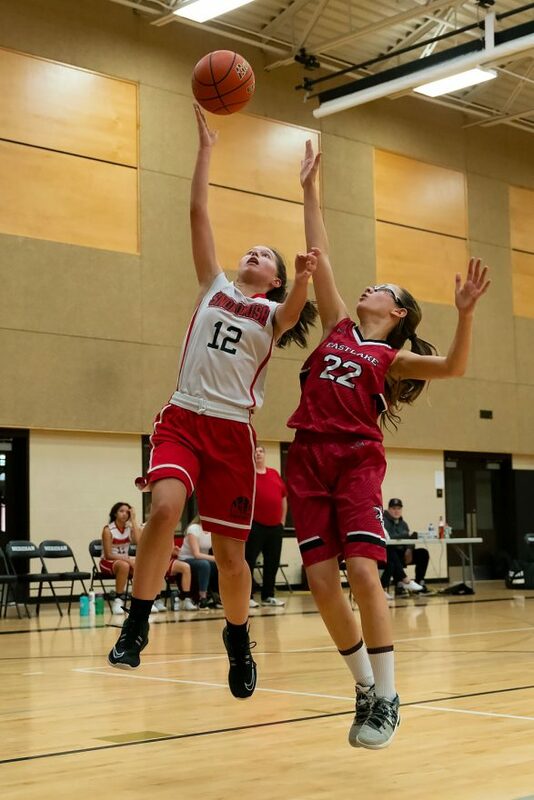 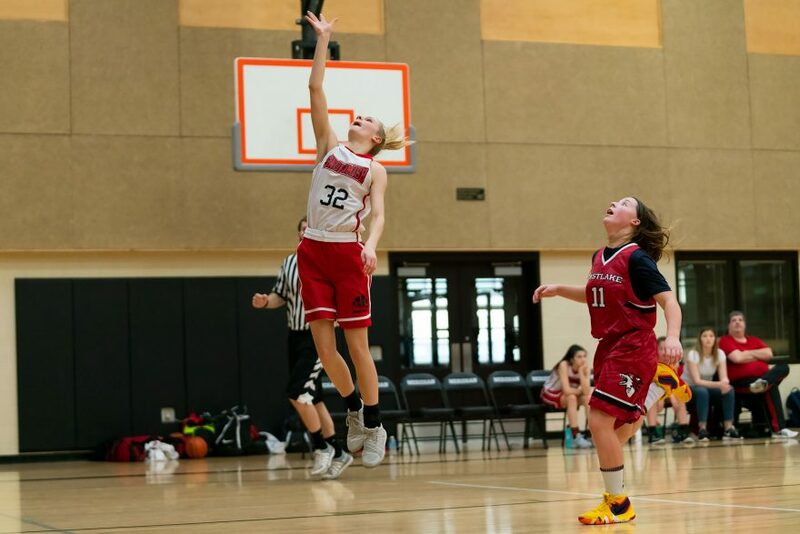 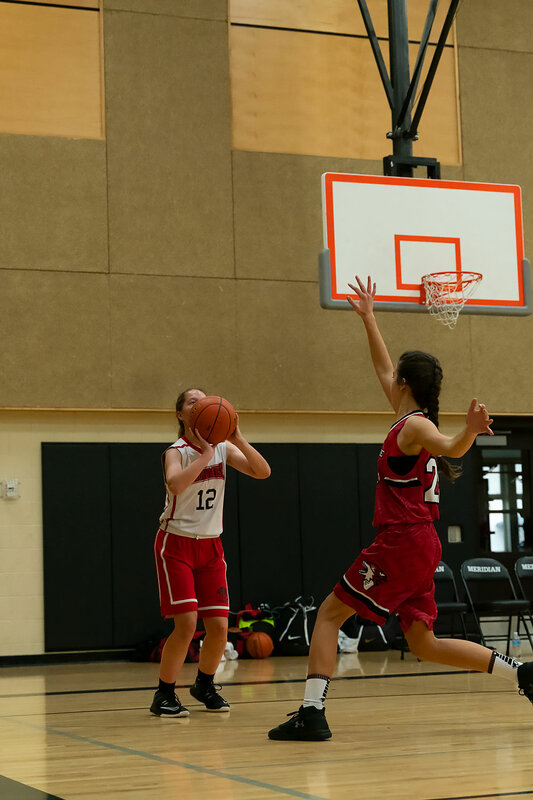 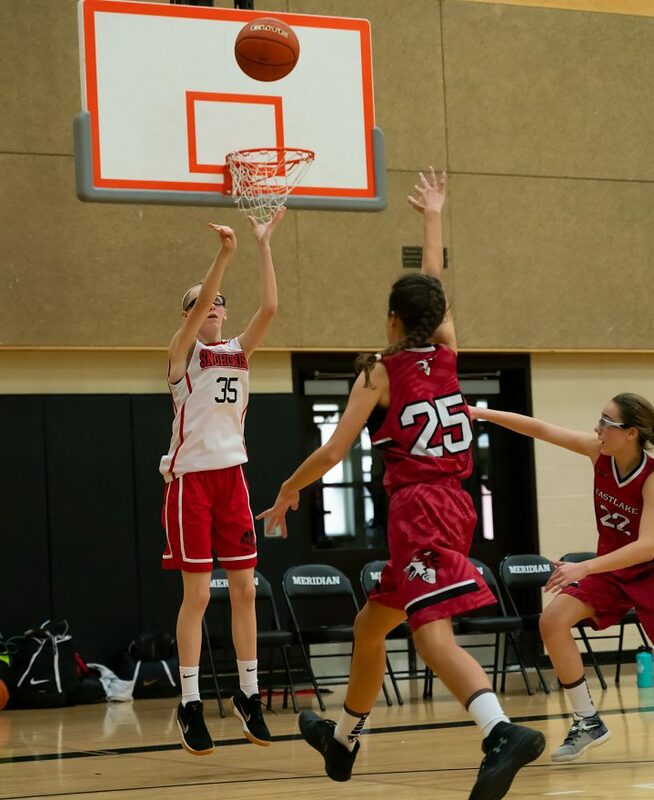 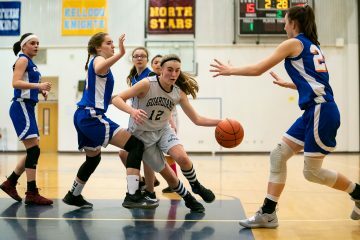 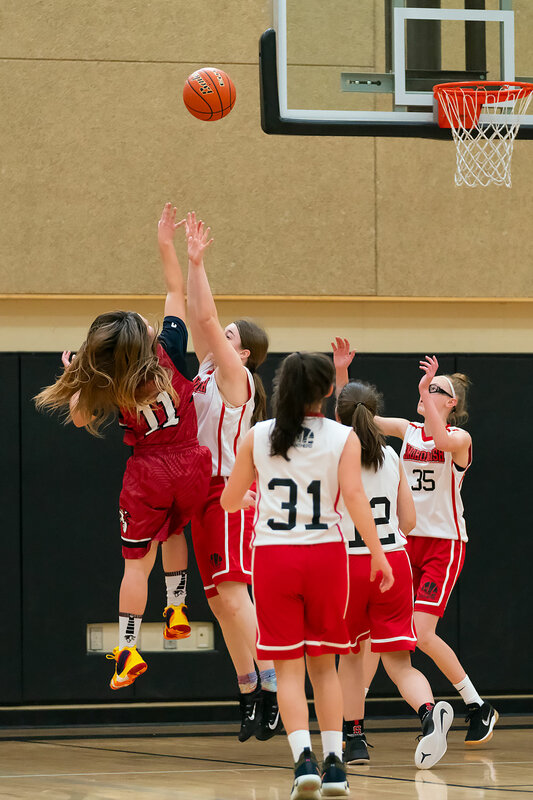 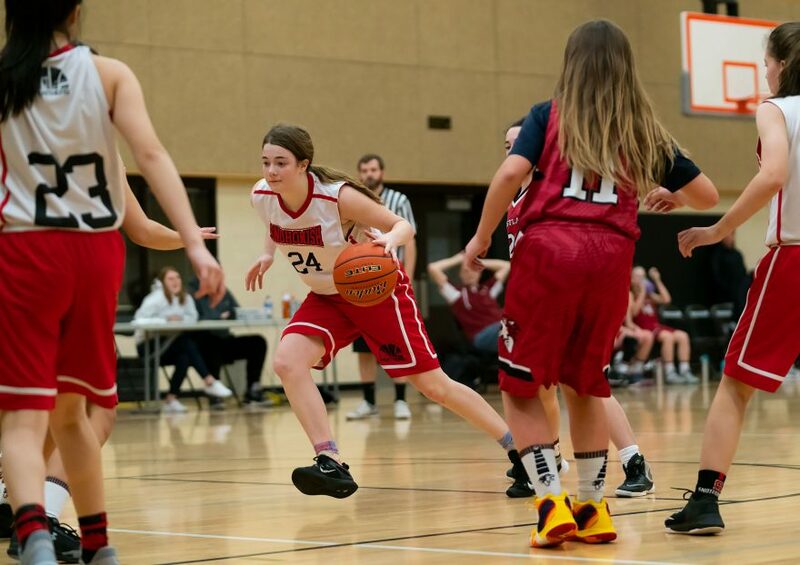 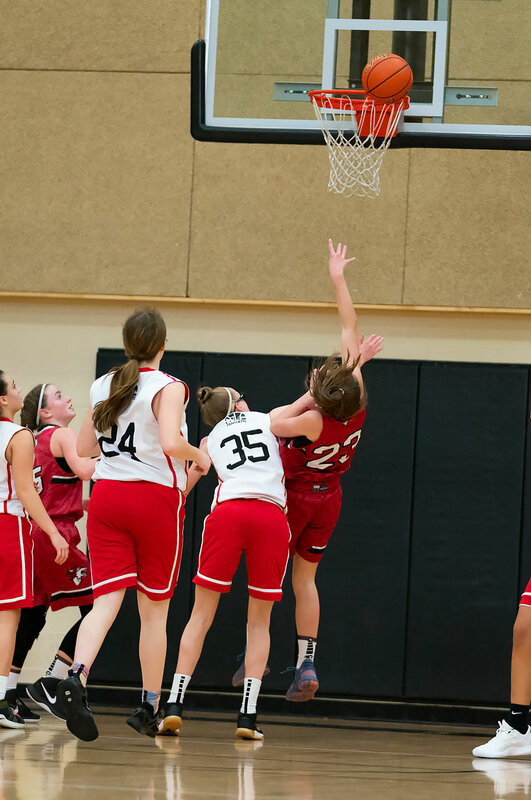 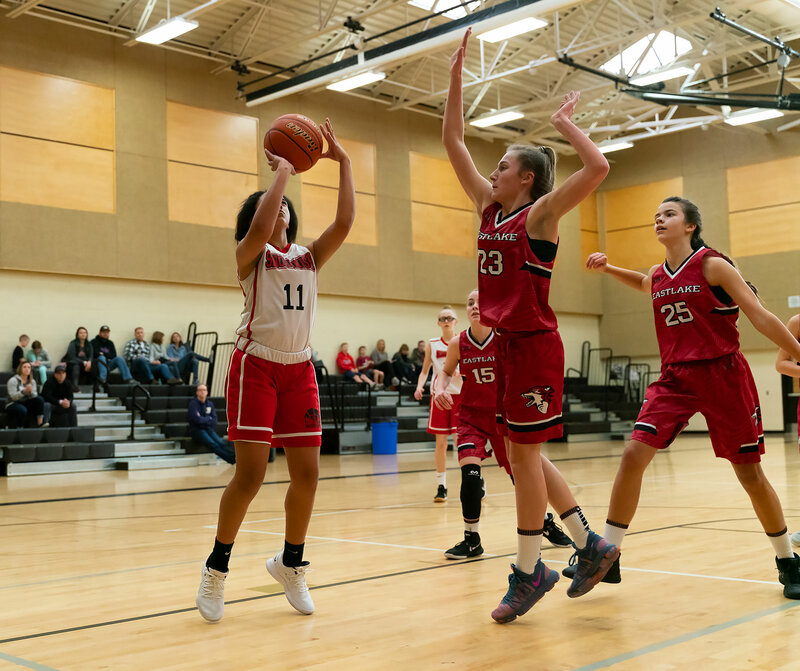 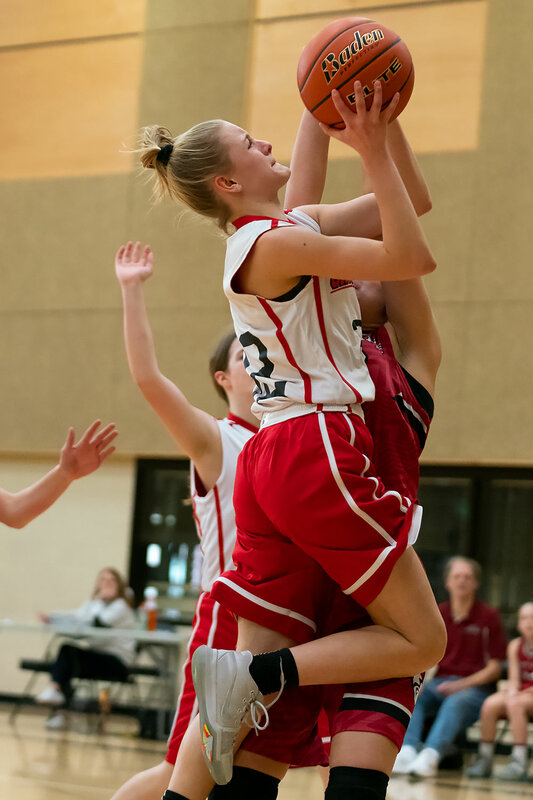 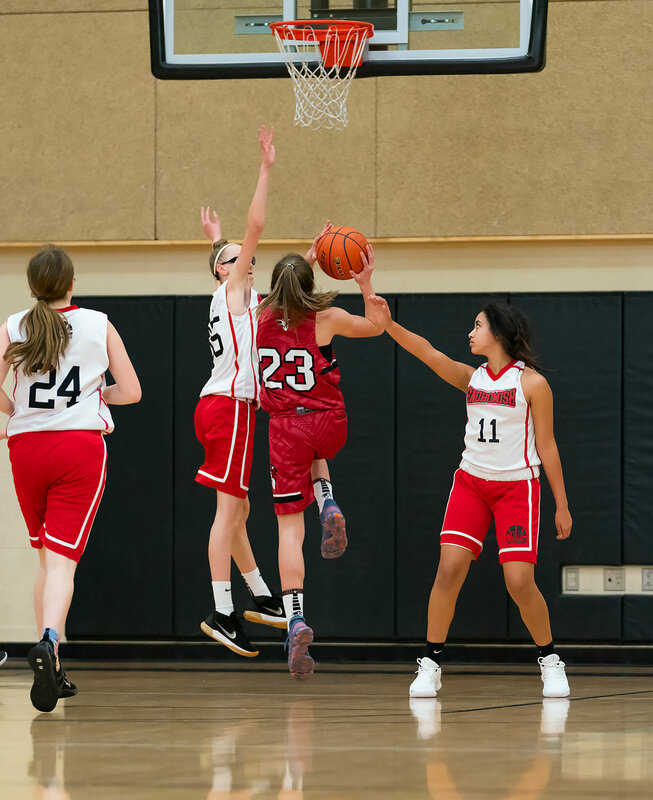 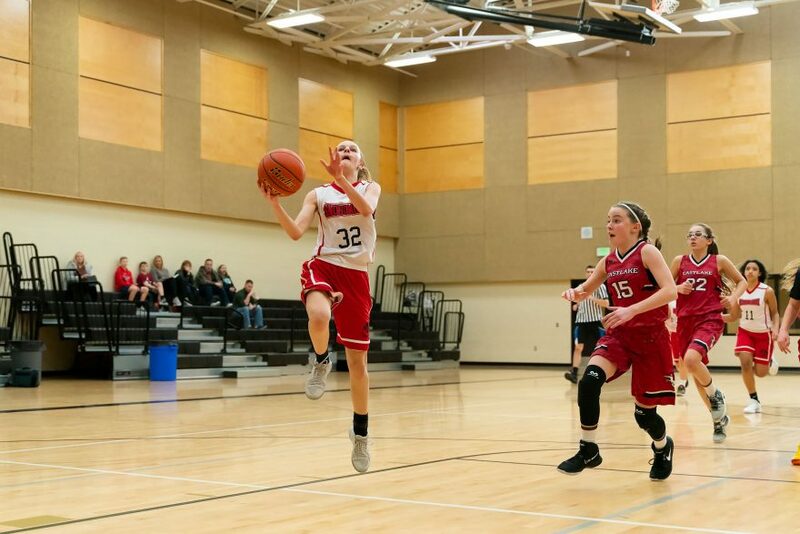 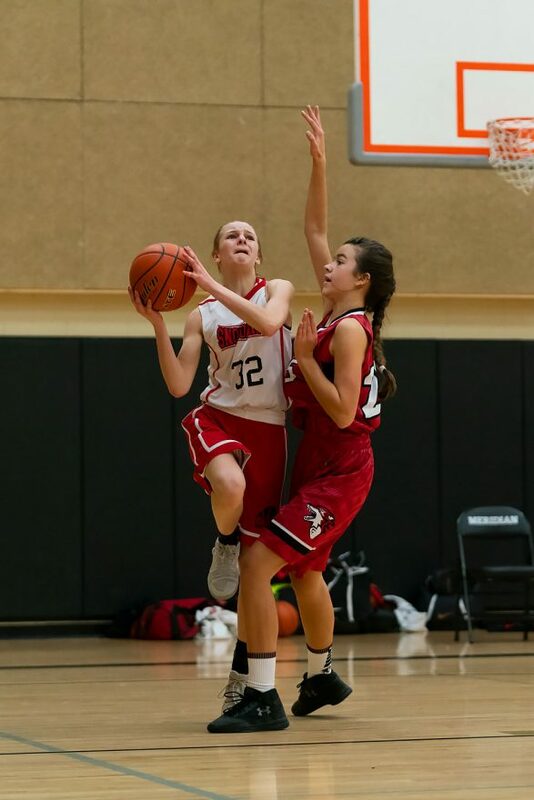 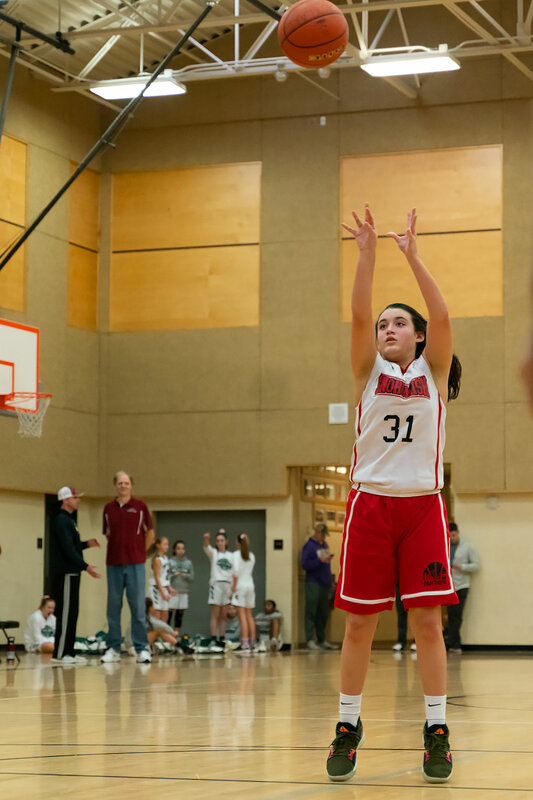 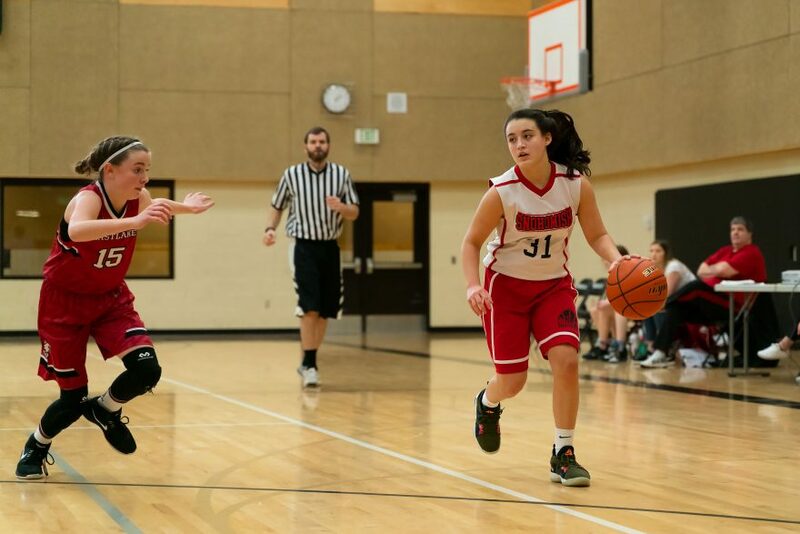 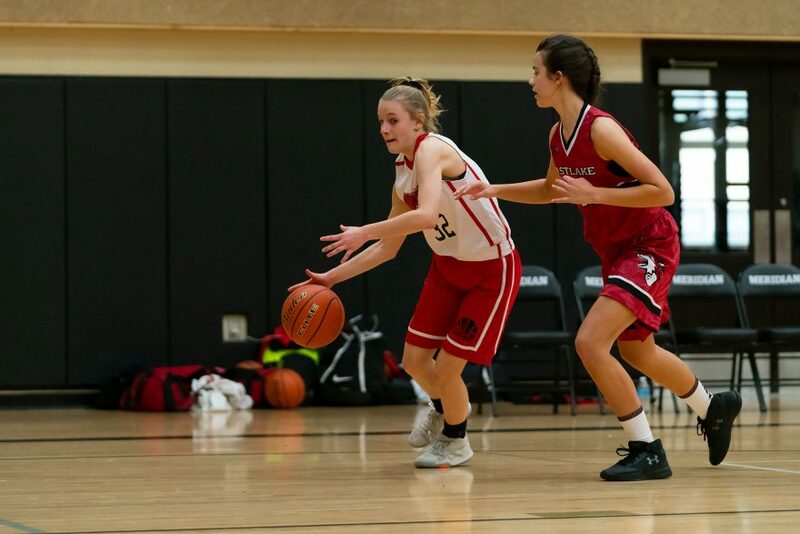 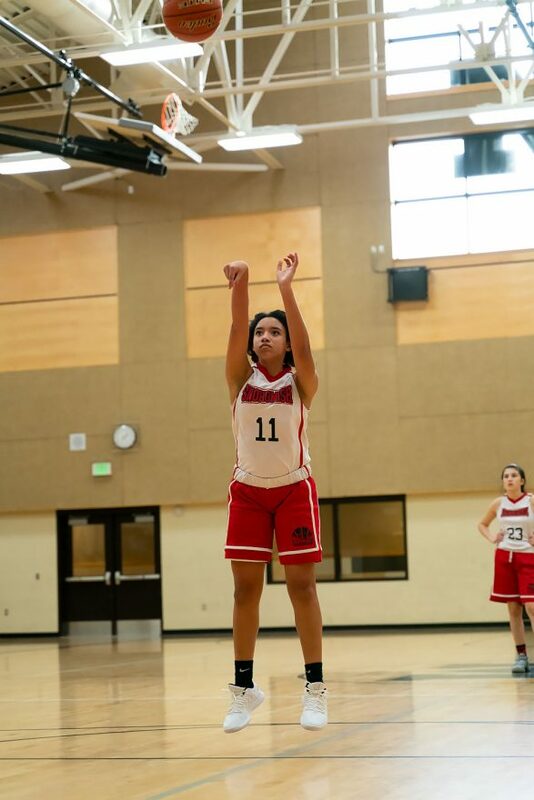 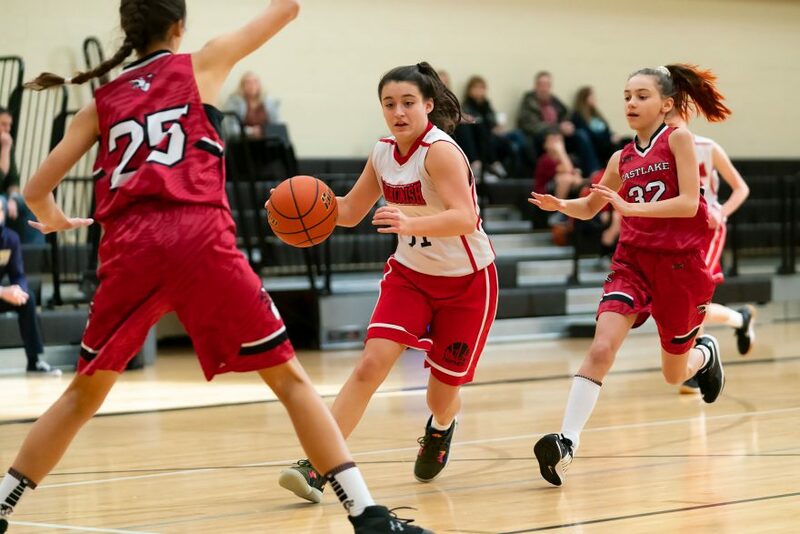 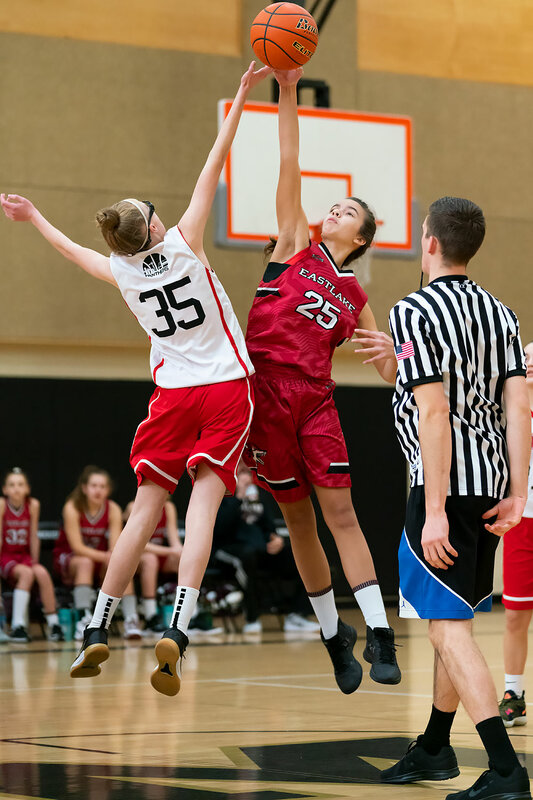 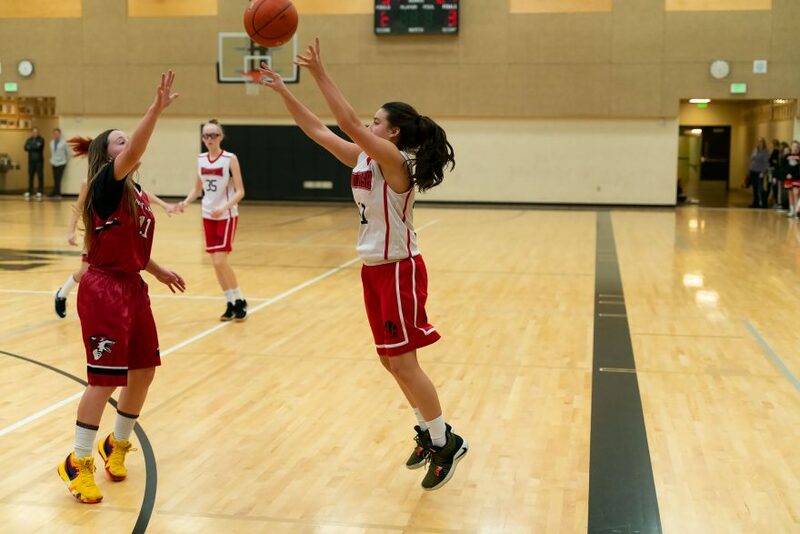 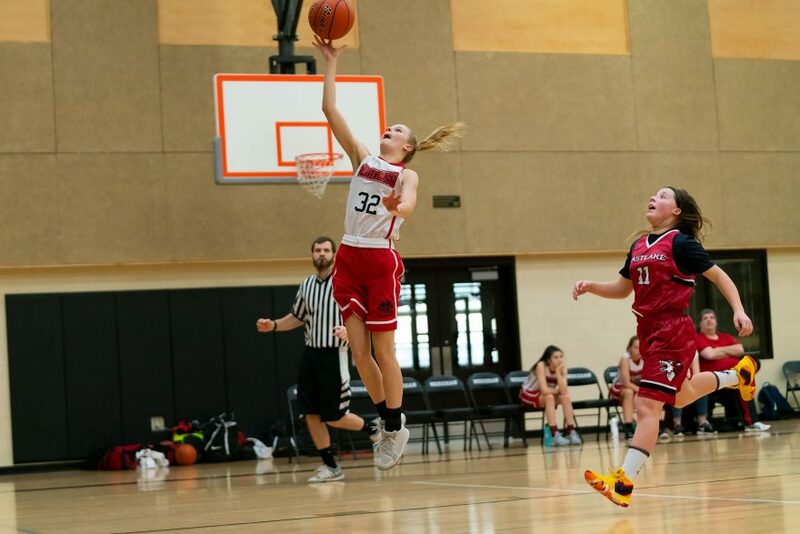 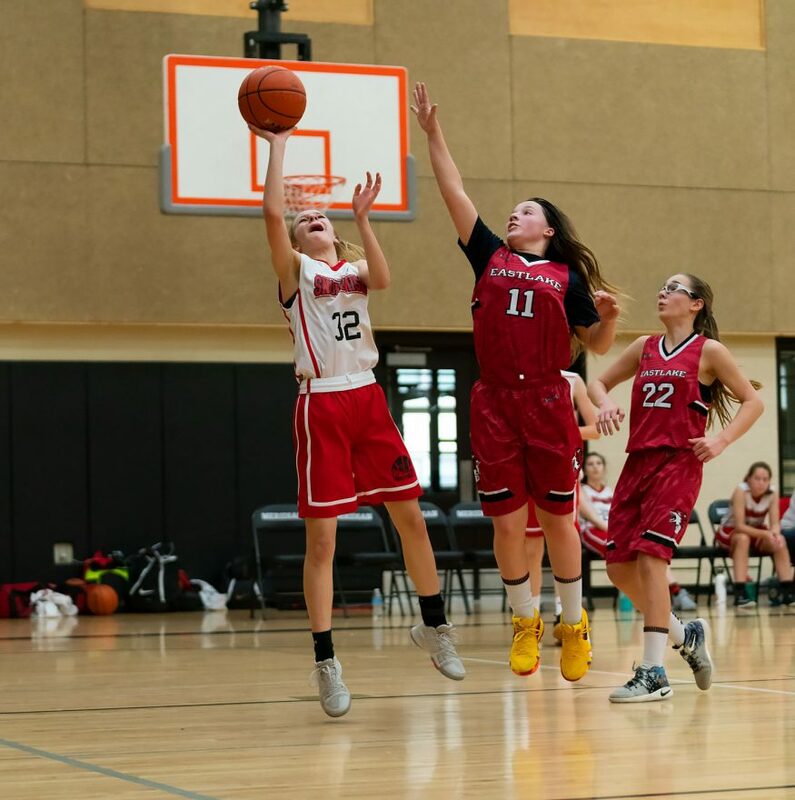 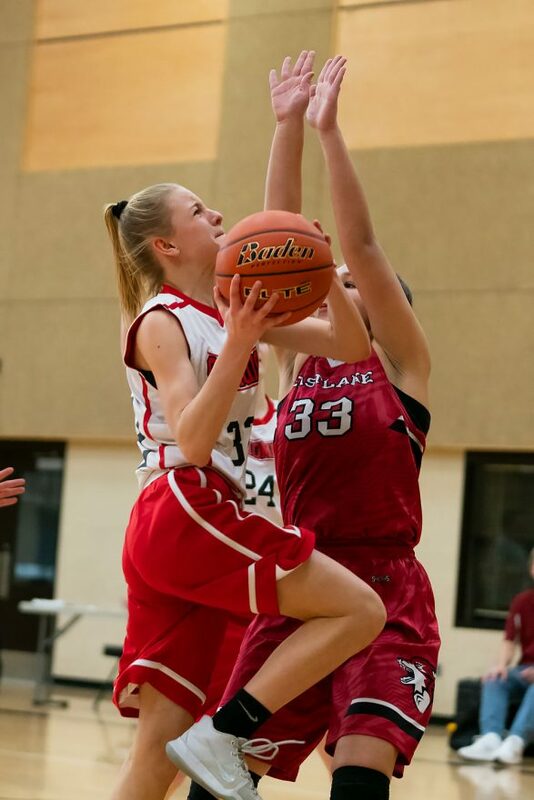 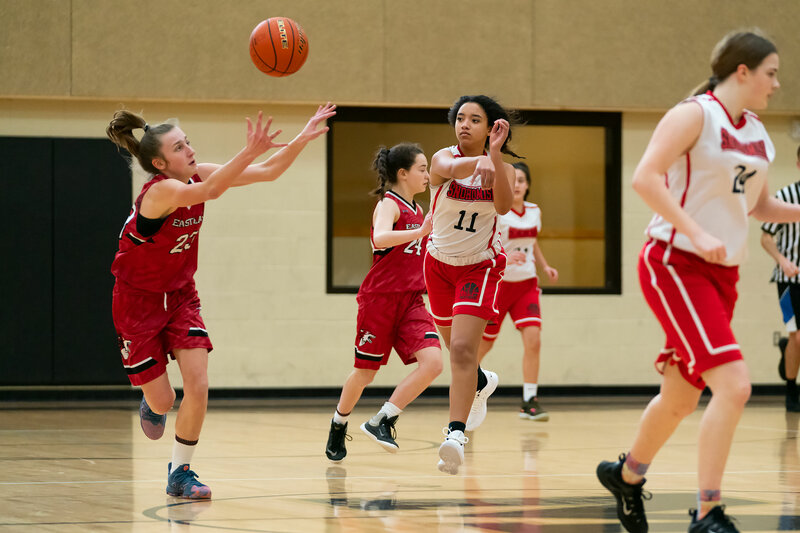 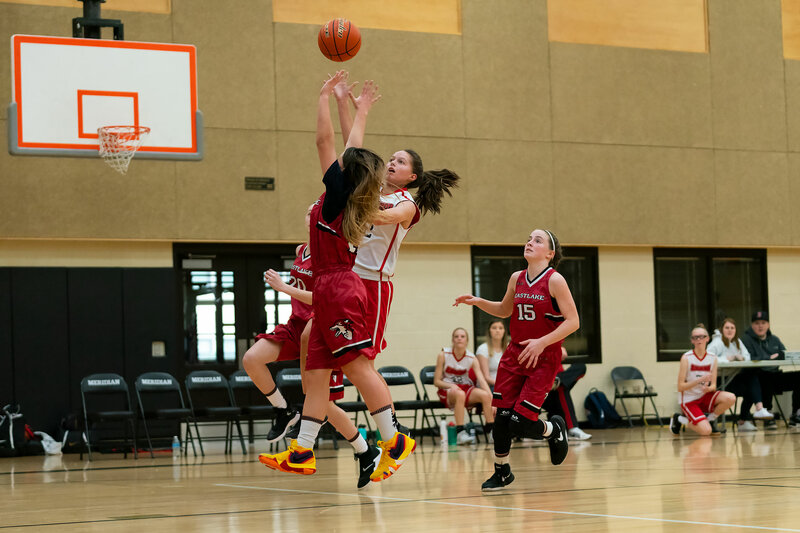 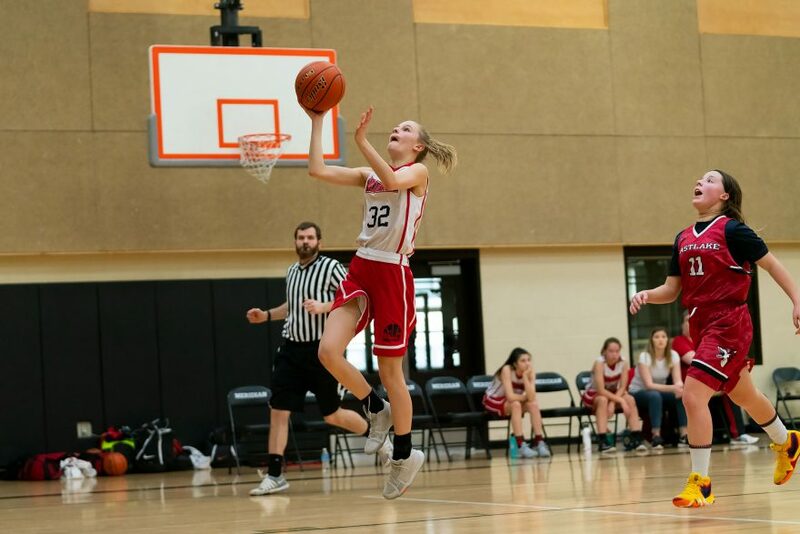 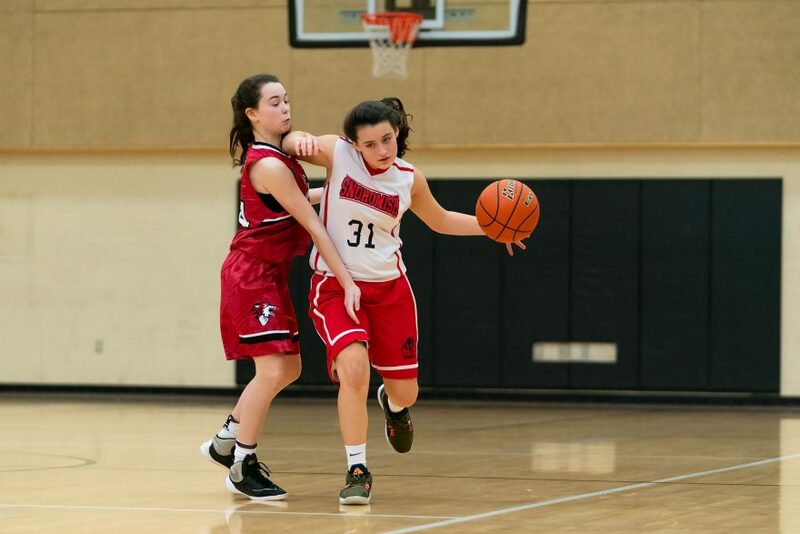 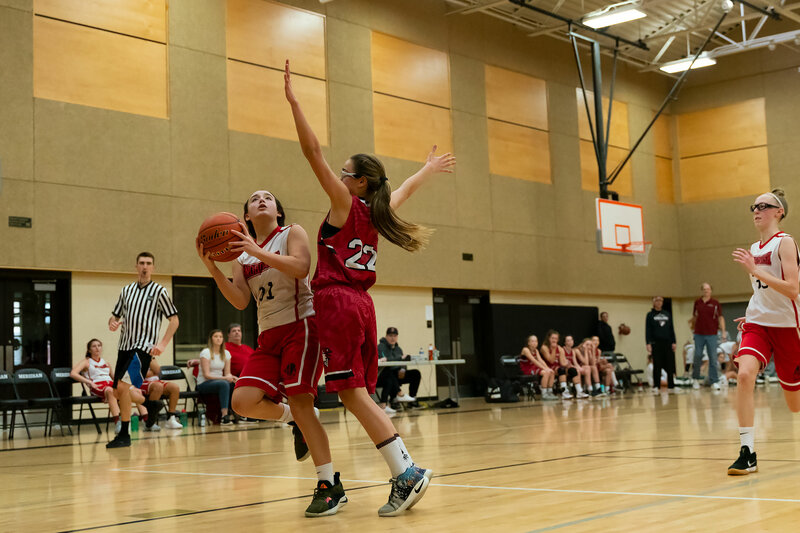 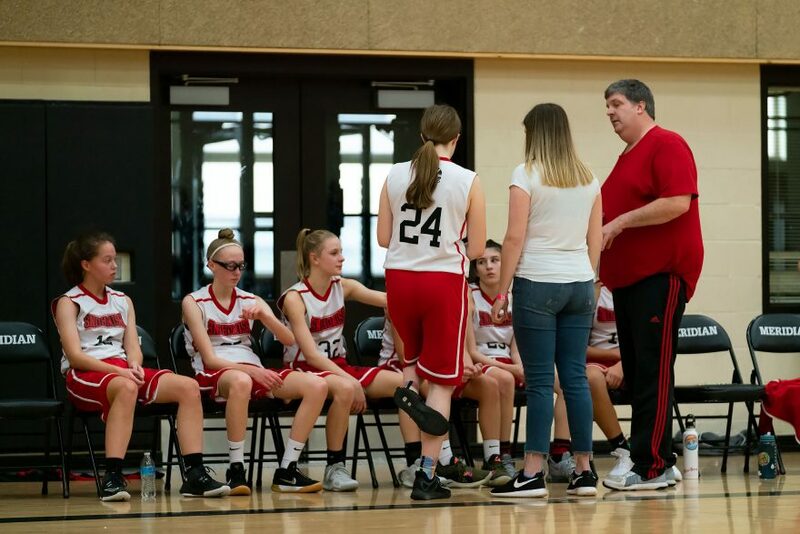 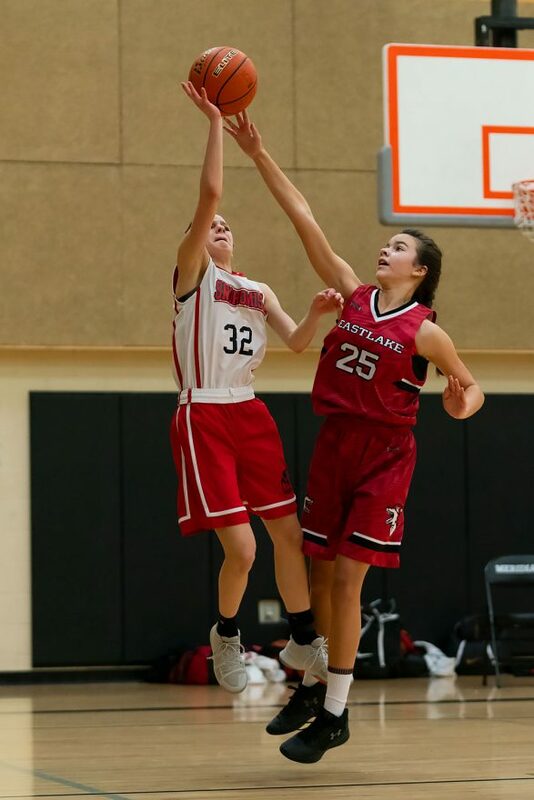 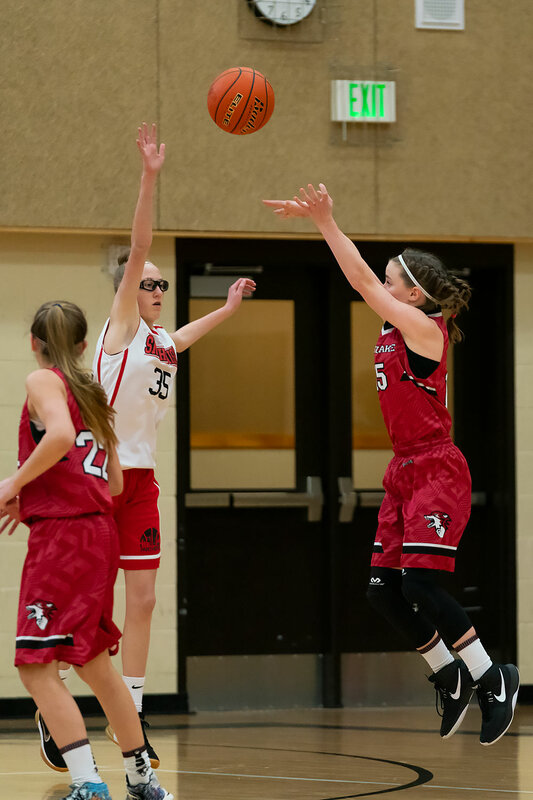 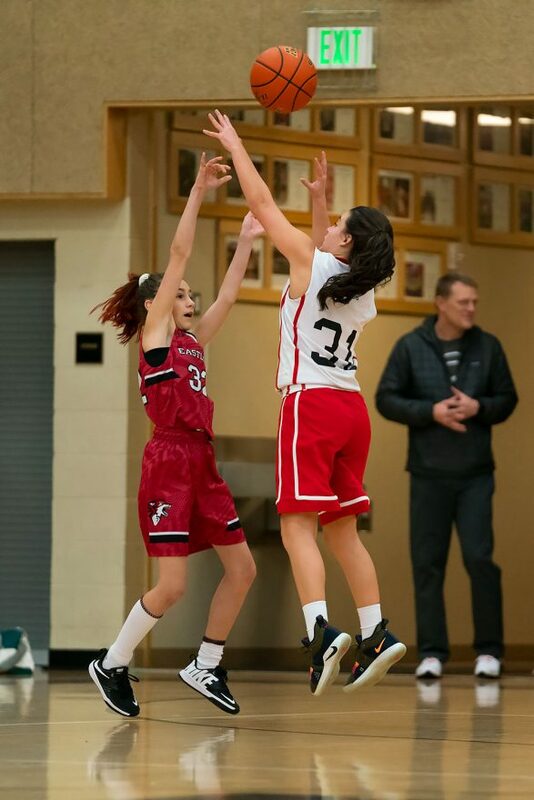 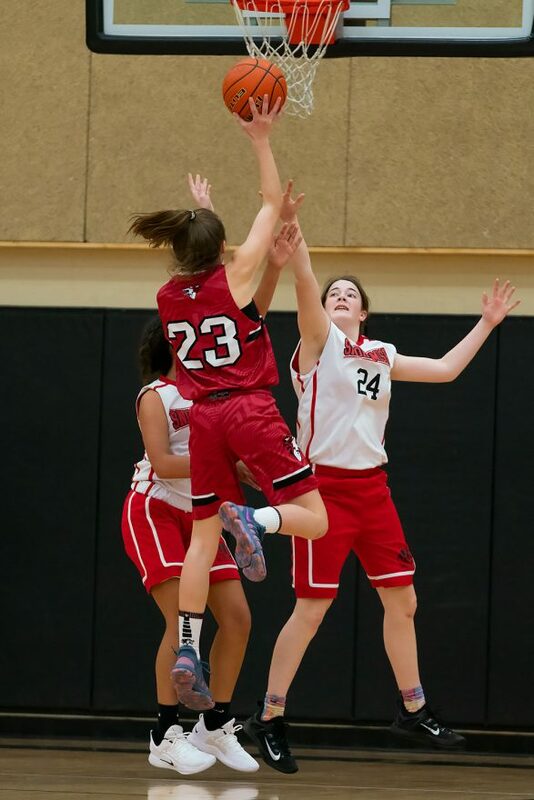 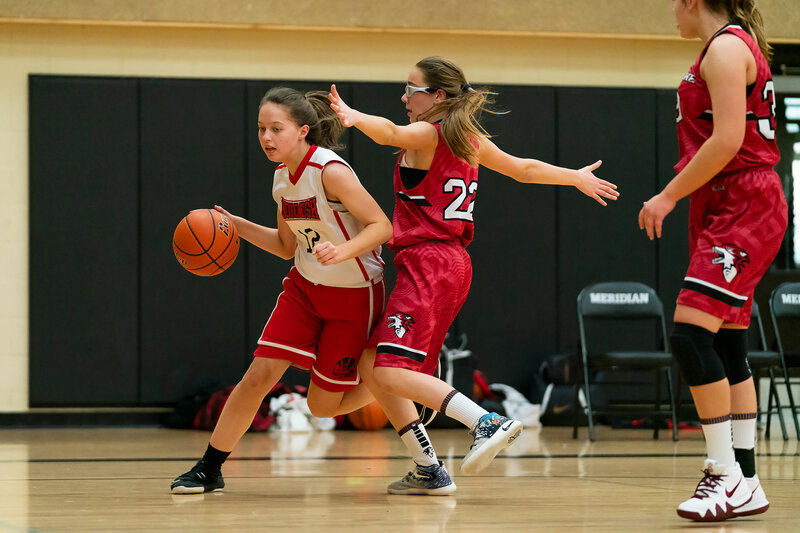 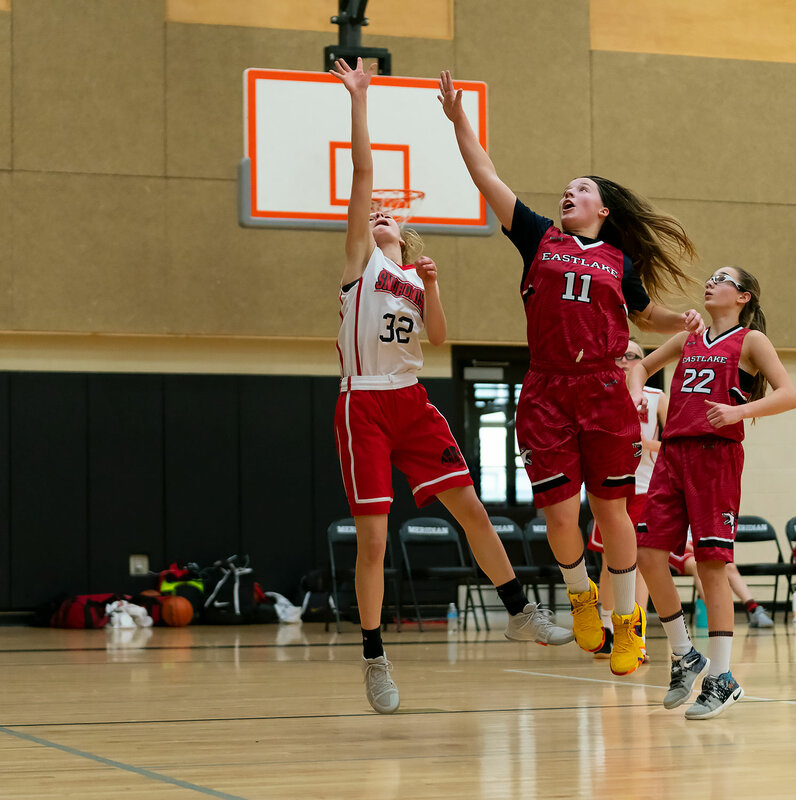 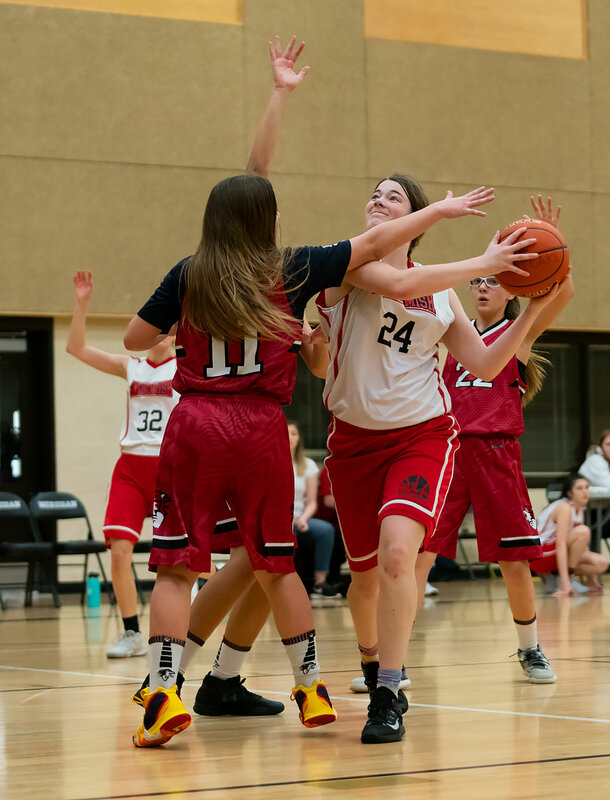 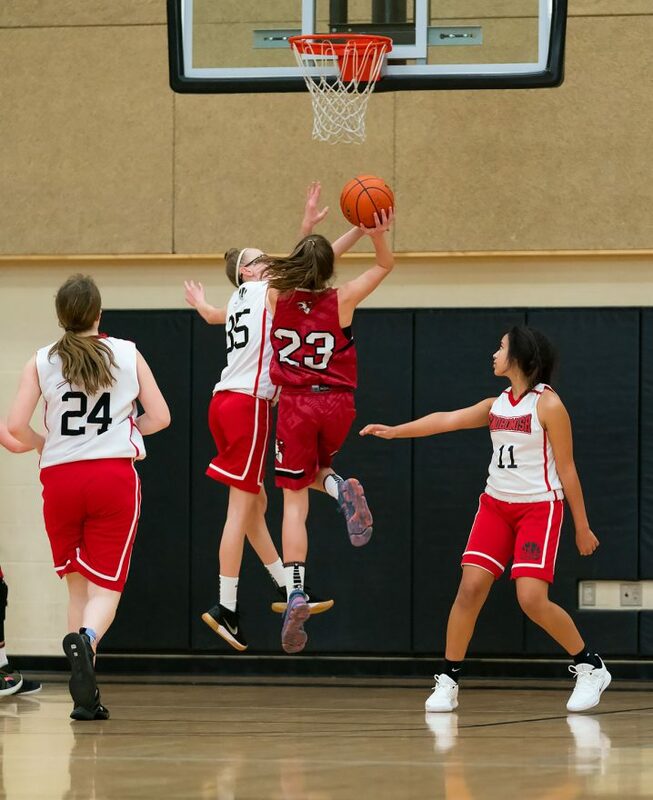 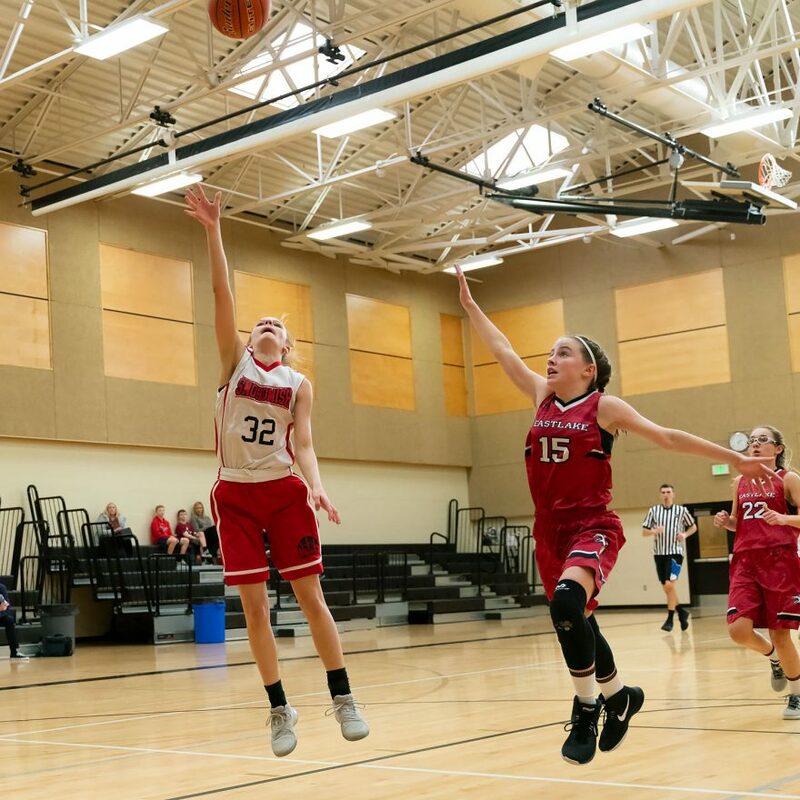 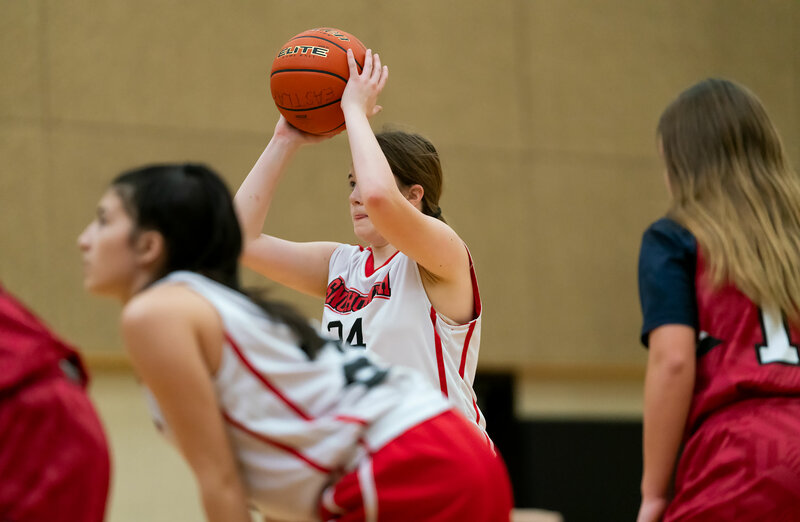 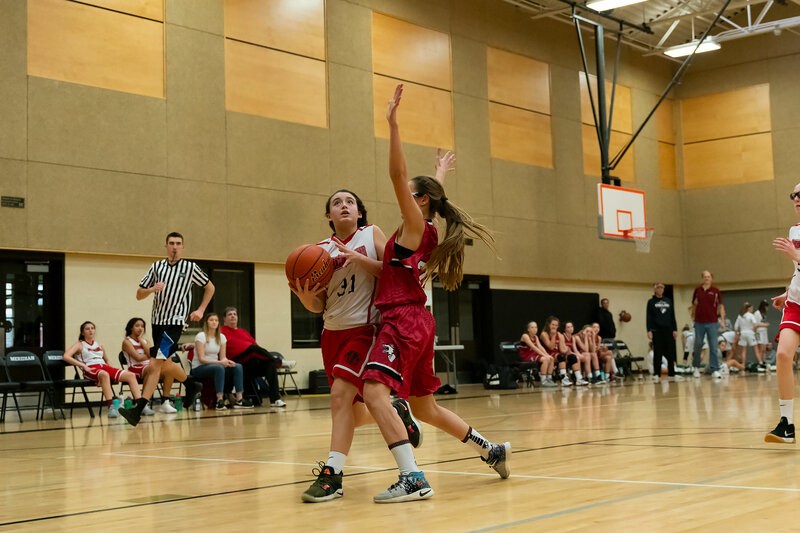 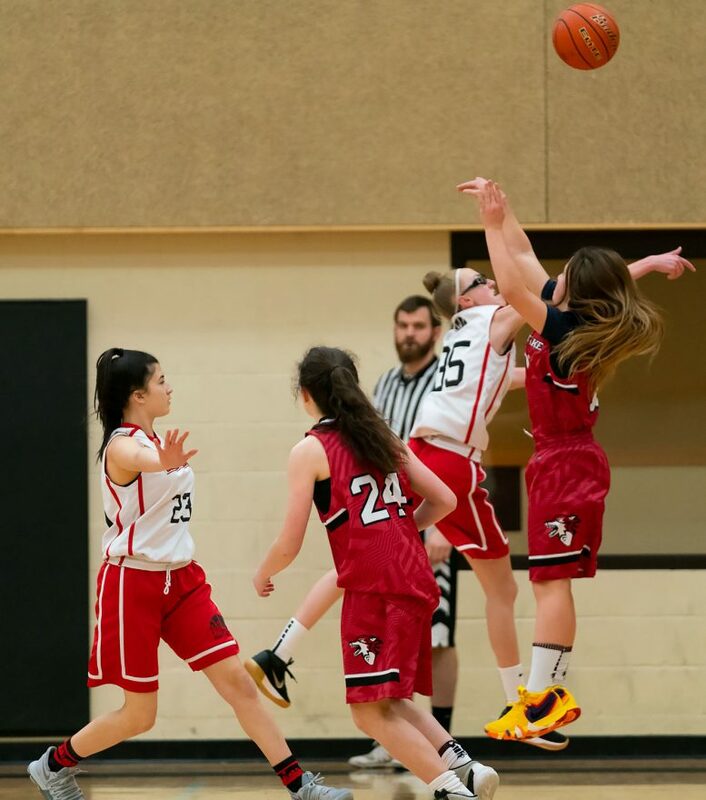 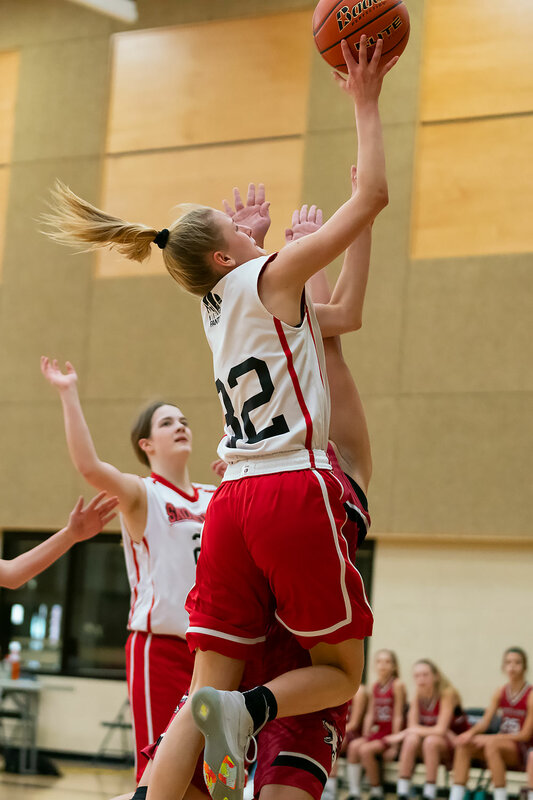 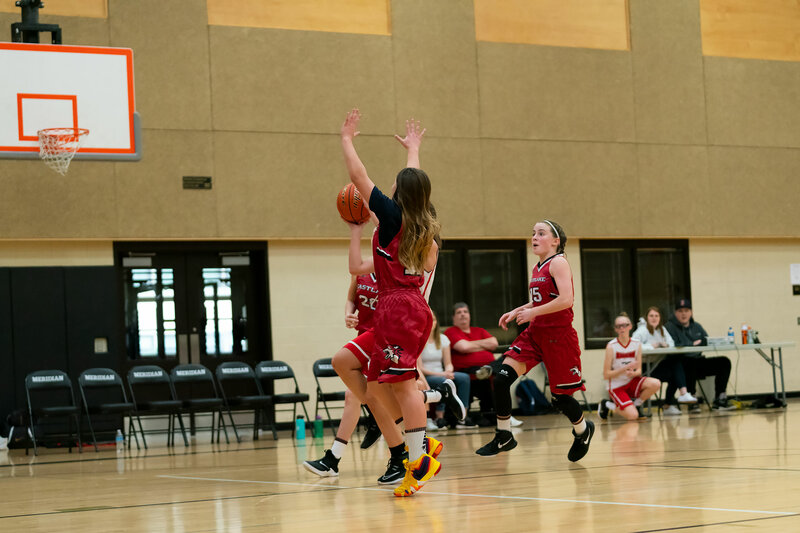 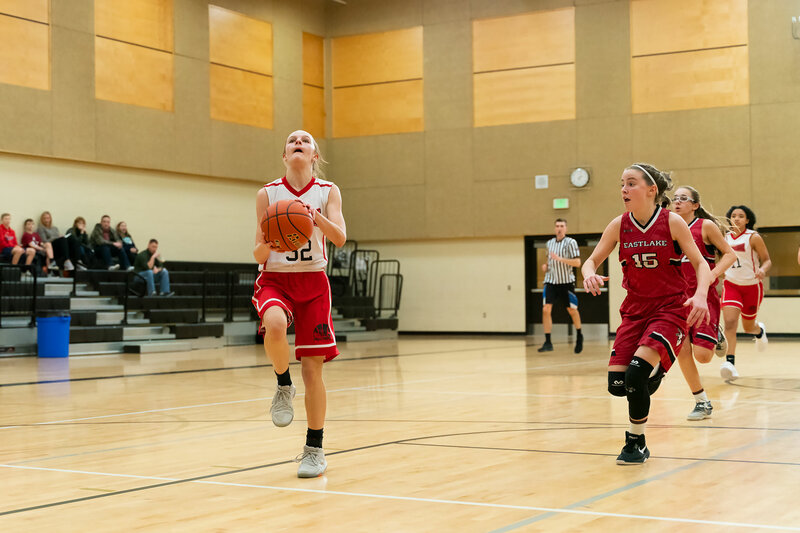 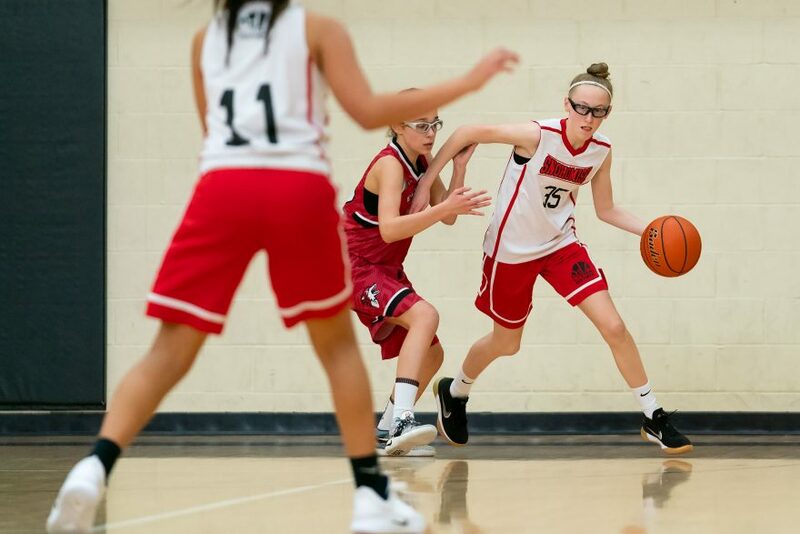 On Saturday afternoon, the Eastlake girls took on the 8th grade Snohomish team at Meridian High School. 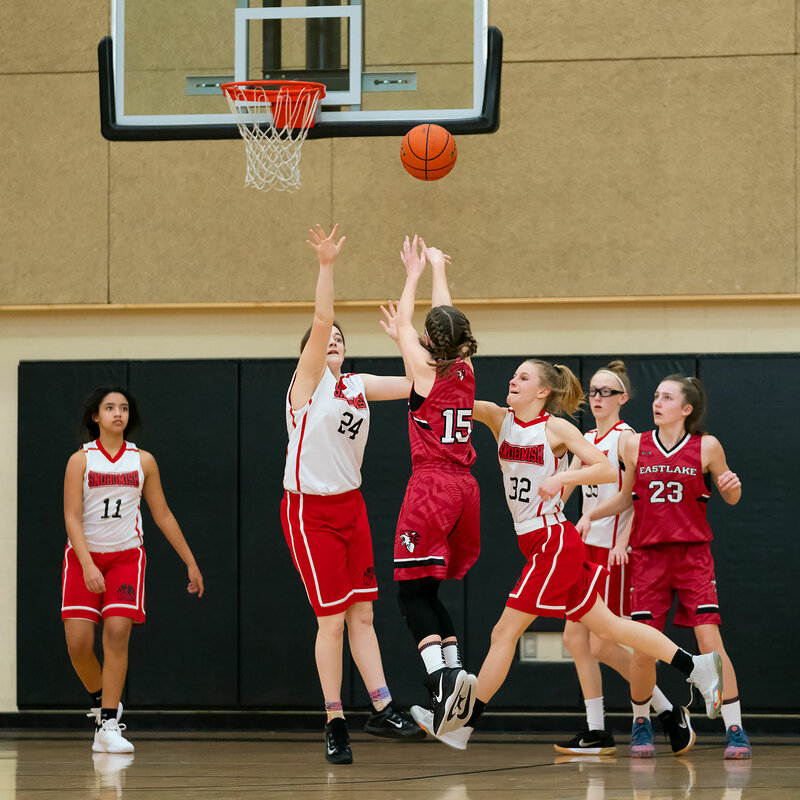 For the first several minutes of the game, the low score was separated by only a point or two, but midway through the first period, Snohomish pushed out to a five point lead at 9-4. 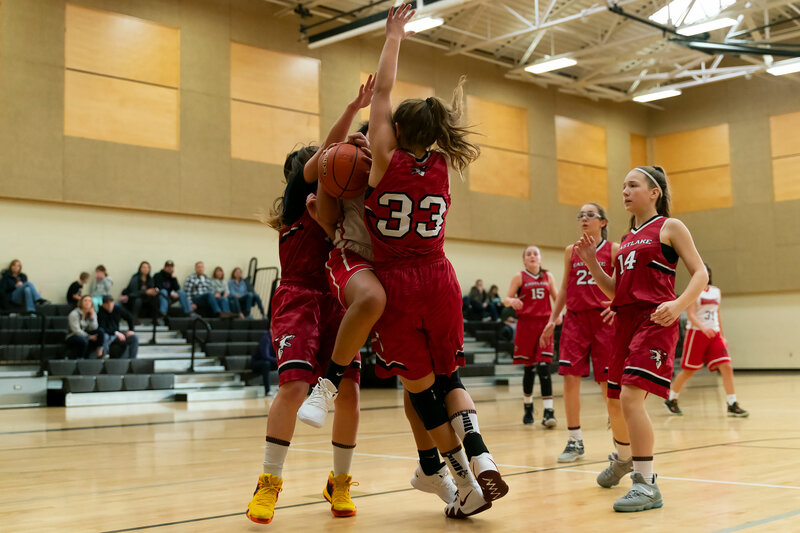 Over the next several minutes, Eastlake fought back, closing the gap to only two points at 9-7, but Snohomish regrouped and held onto their narrow lead. At halftime, the score was 18-16, with Snohomish still on top. 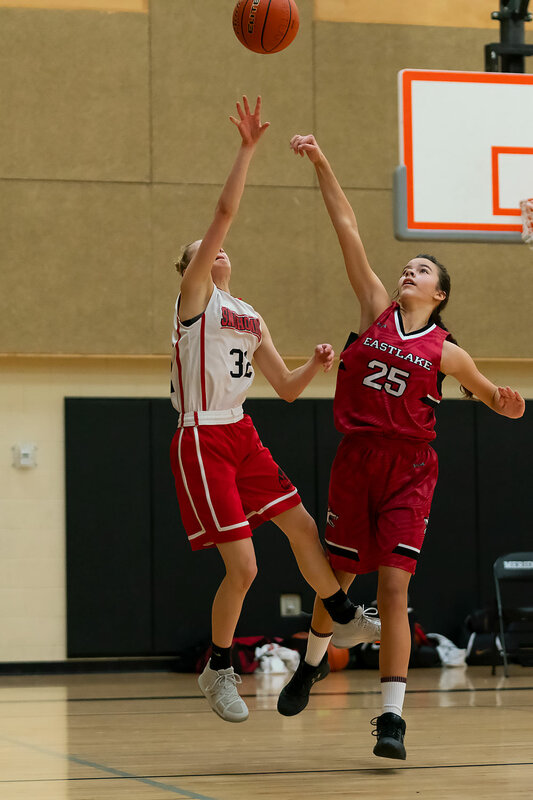 In the second half, Eastlake came out strong and within minutes took over the lead at 20-22, but moments later, Snohomish regained the lead at 24-22. 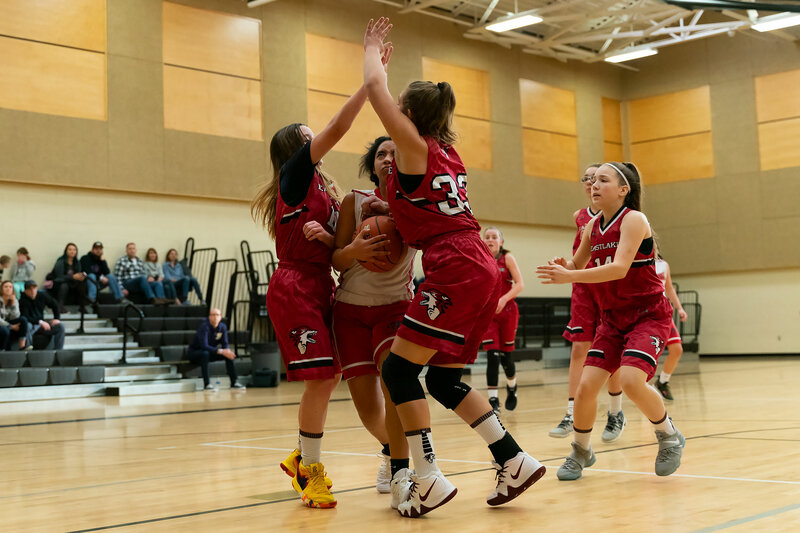 For the next several minutes, the score remained close and the teams traded the lead until, with 11 minutes to play, Eastlake took a the lead at 29-30 and held it for the rest of the game. 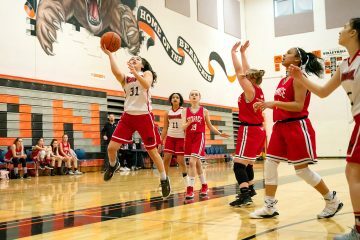 In the final two minutes of the game, Eastlake went on a run to increase their lead from 5 points to 10 and won the game 33-43.